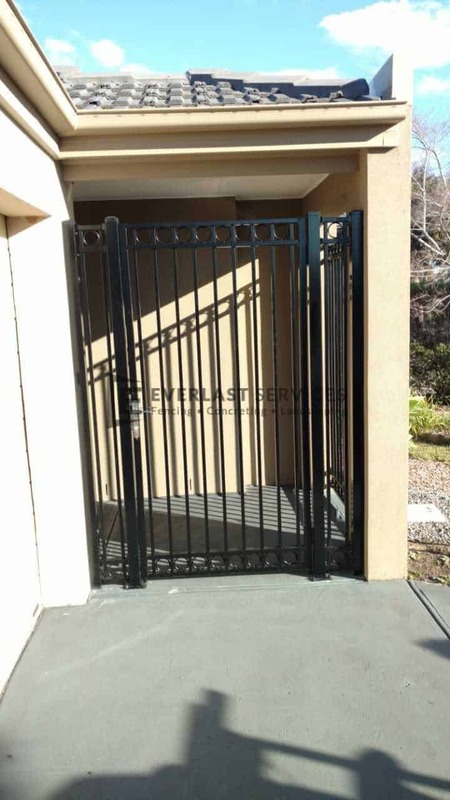 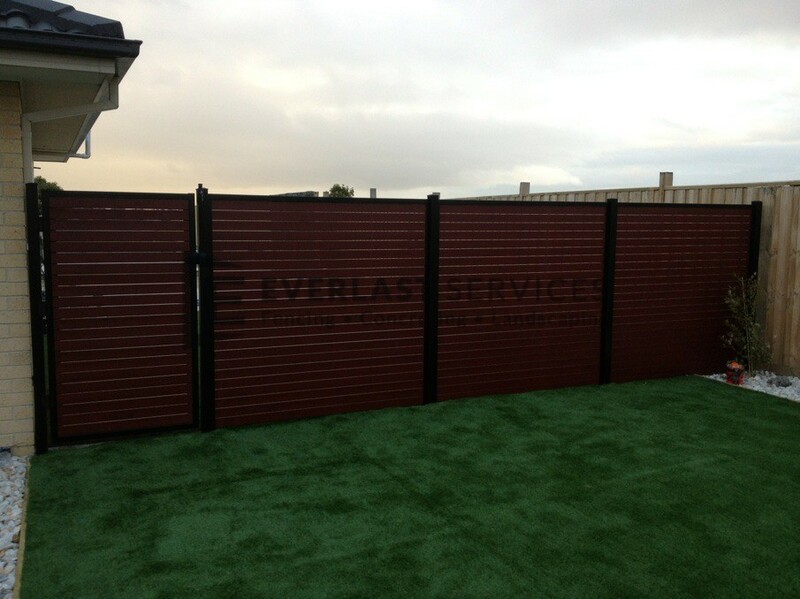 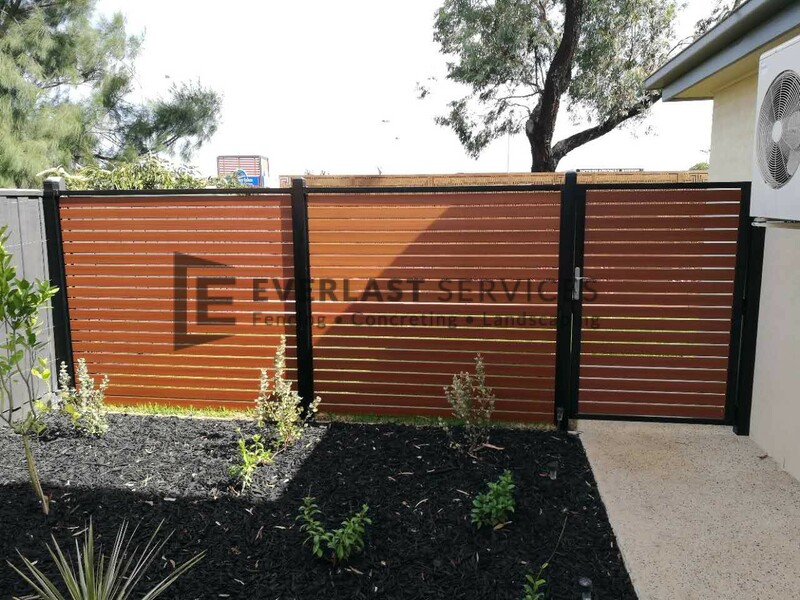 Fences and gates from Everlast Services (formerly known as Everlast Fencing) are tough, durable and built to last. 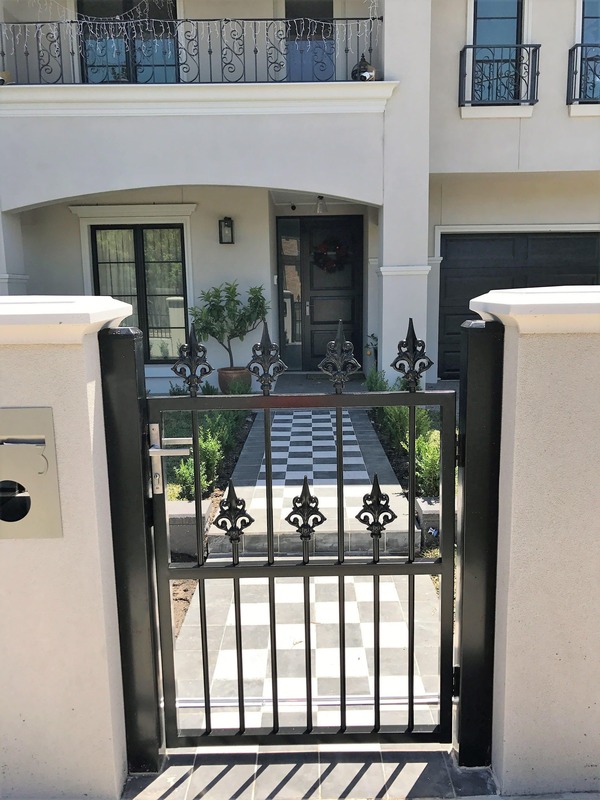 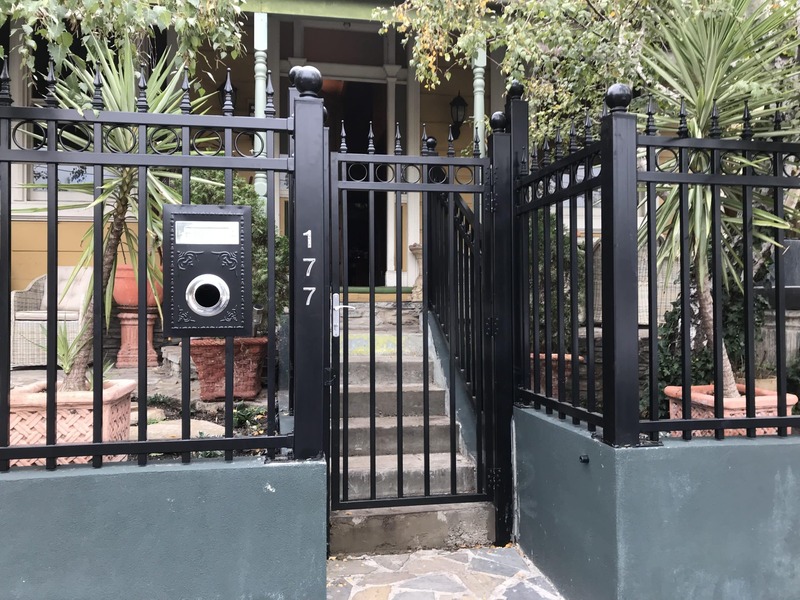 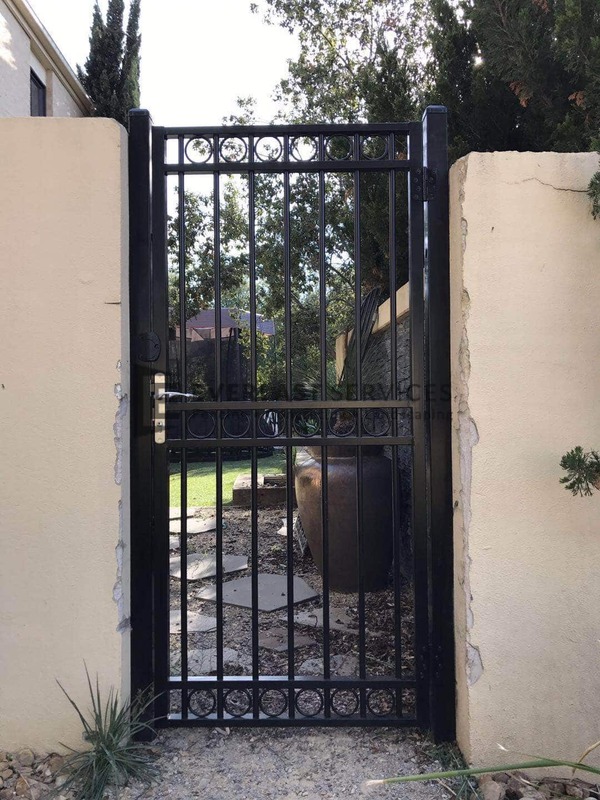 With our side gates protecting your family home, you can rest assured that all your treasures and family will be 100% safe and secure at all times of the day and night. 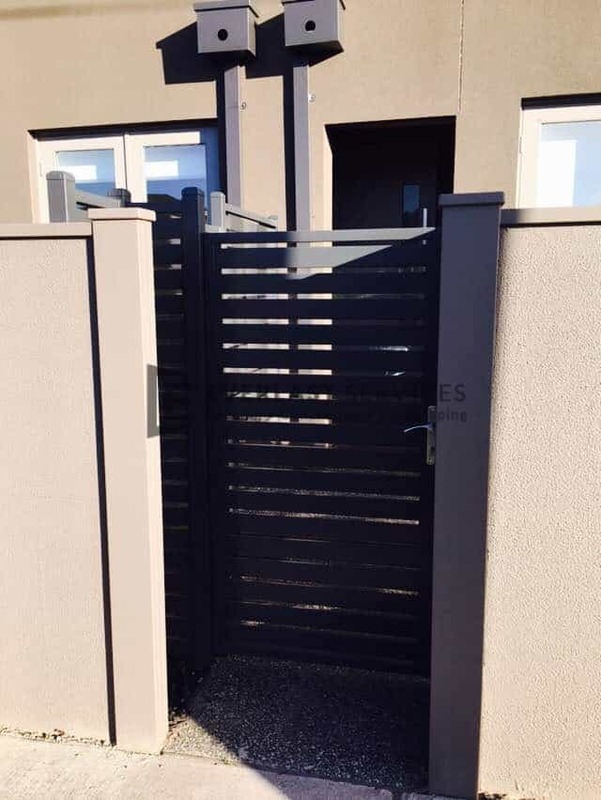 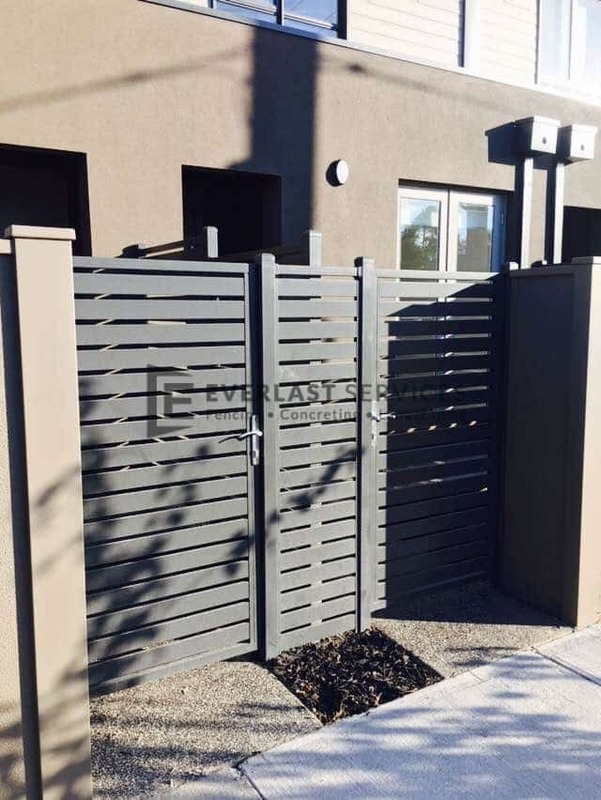 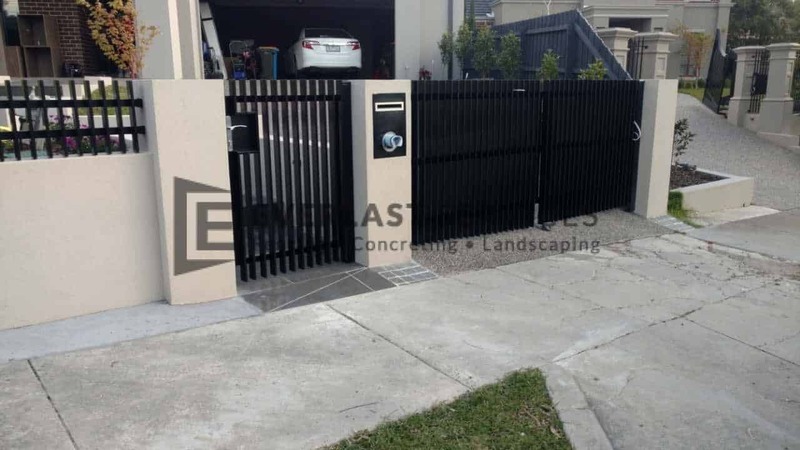 If you’re after the best in privacy, security and aesthetics, our fence gates provide a delicate, sleek modern look for both yourself, and everyone walking by your premises. 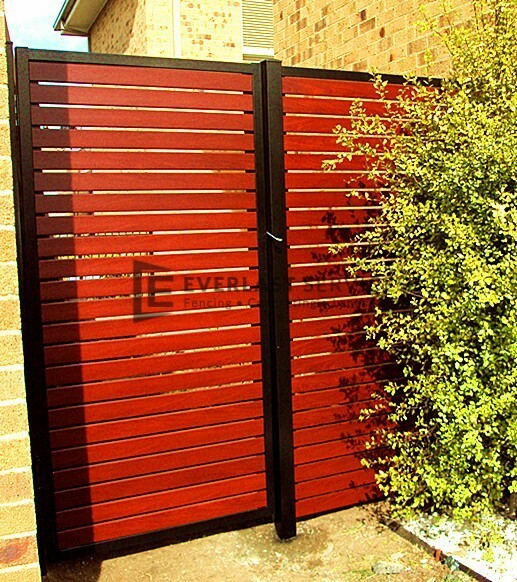 From swing, small access, pool and everything in between, we have the product for you. 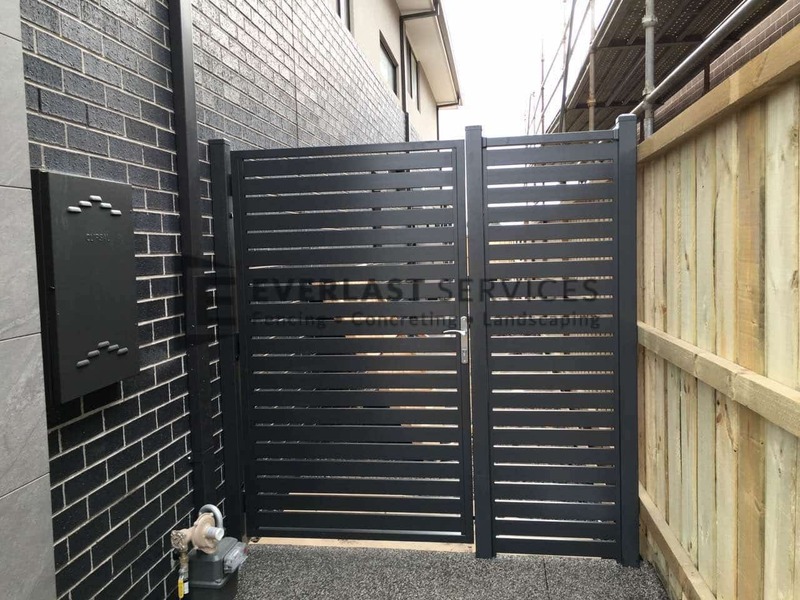 Best of all, because we design and customise all our products at our own manufacturing plant, you can select everything about your side gate design, from material and colour, to size and patterns. 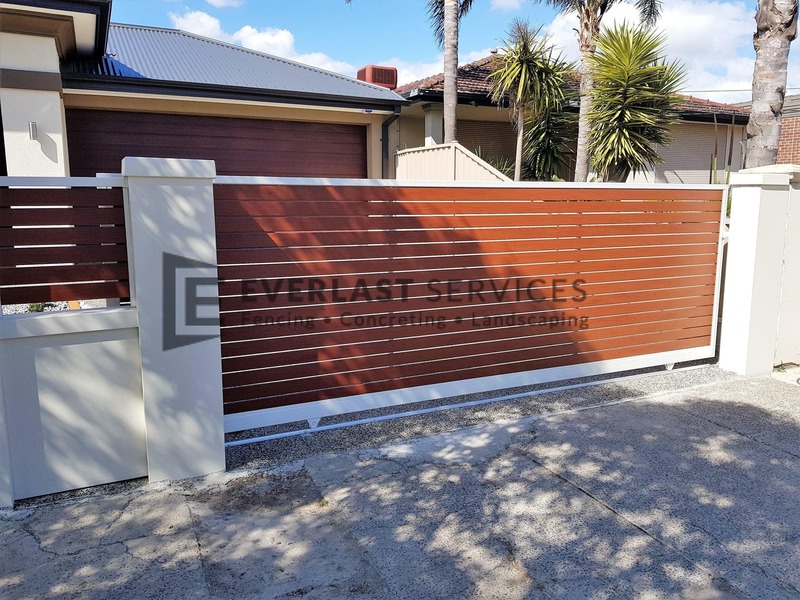 We’re always more than happy to visit your property to give you a free quote, provide detailed information and samples, and discuss how we can best meet your needs. 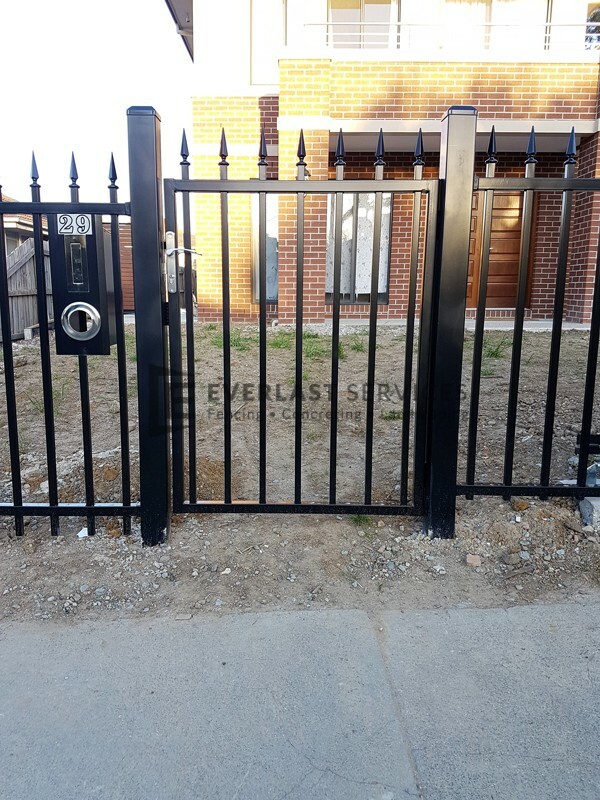 Why Go With Everlast for Your Fences and Gates? 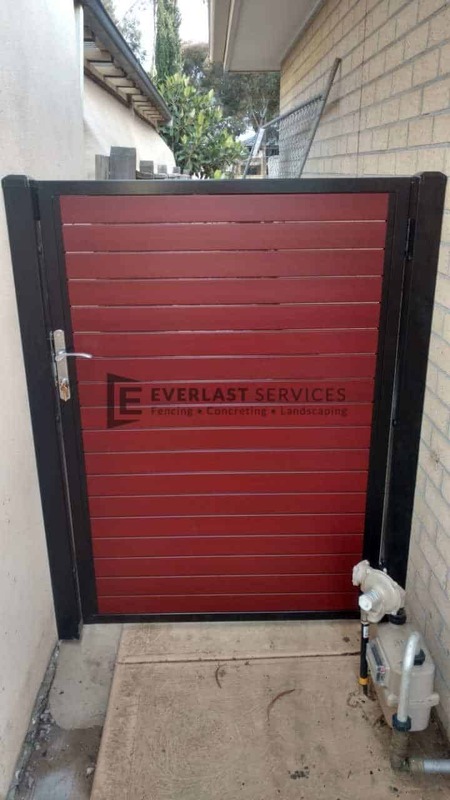 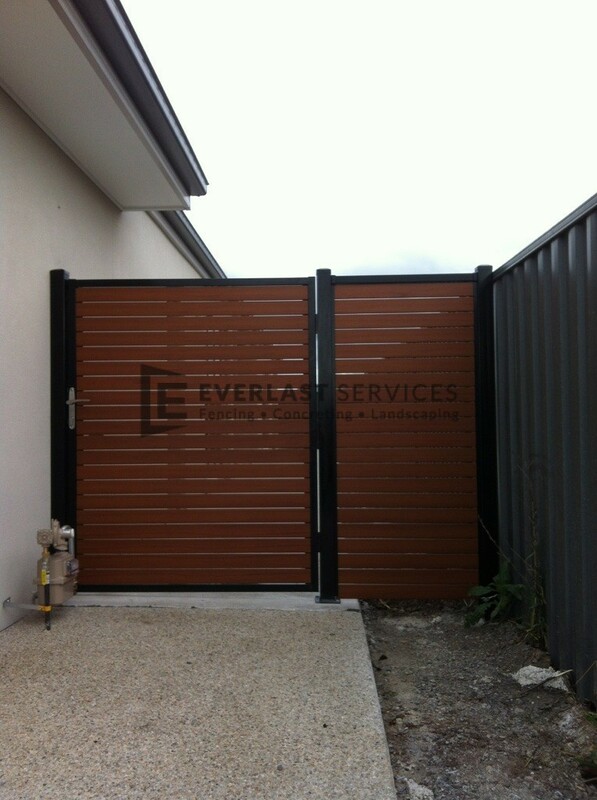 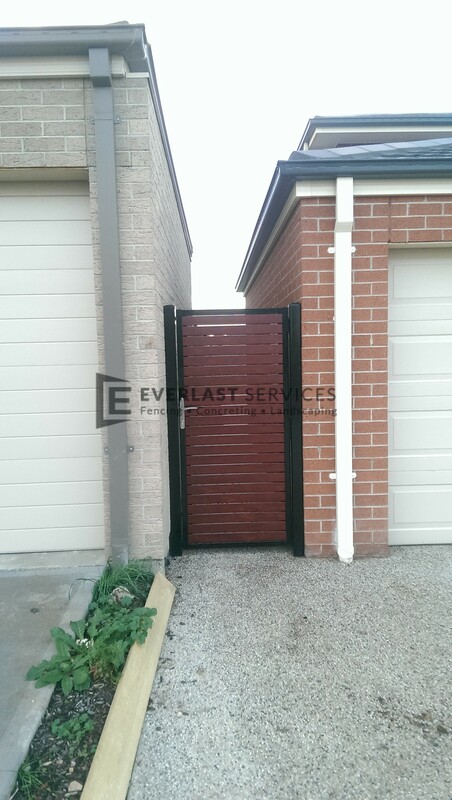 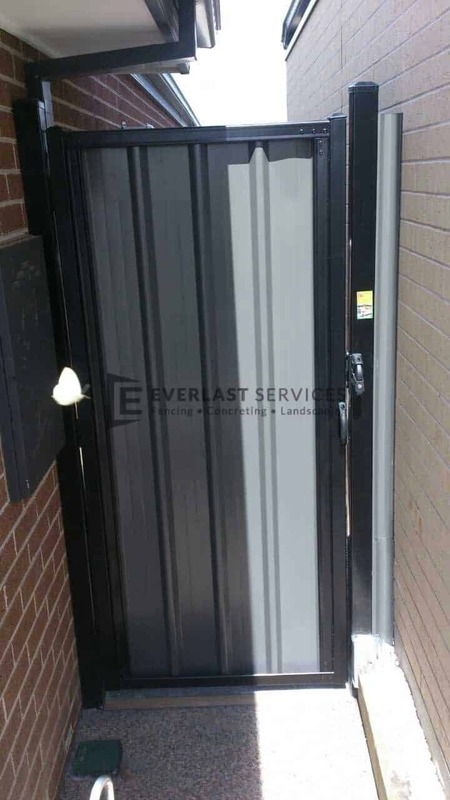 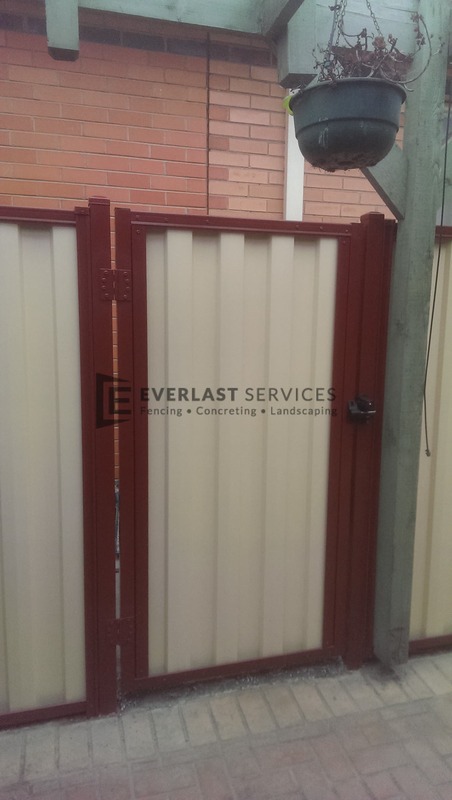 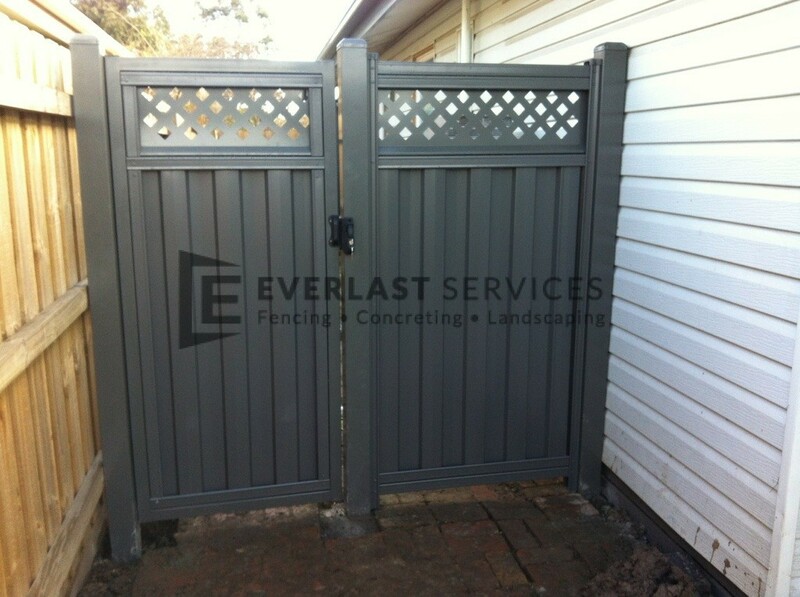 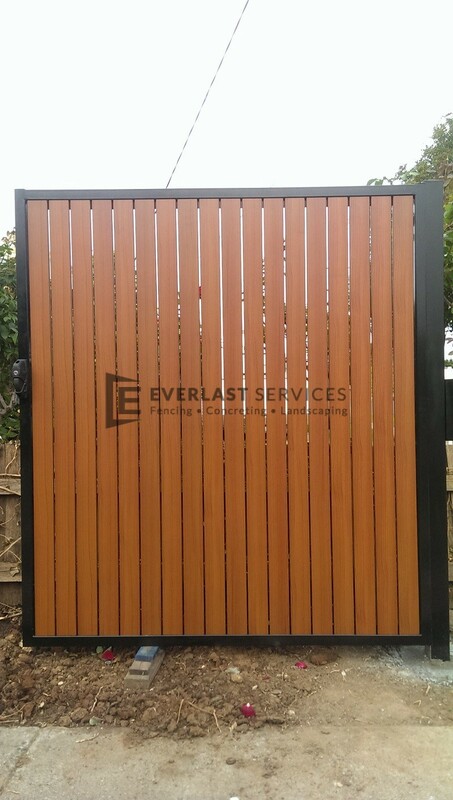 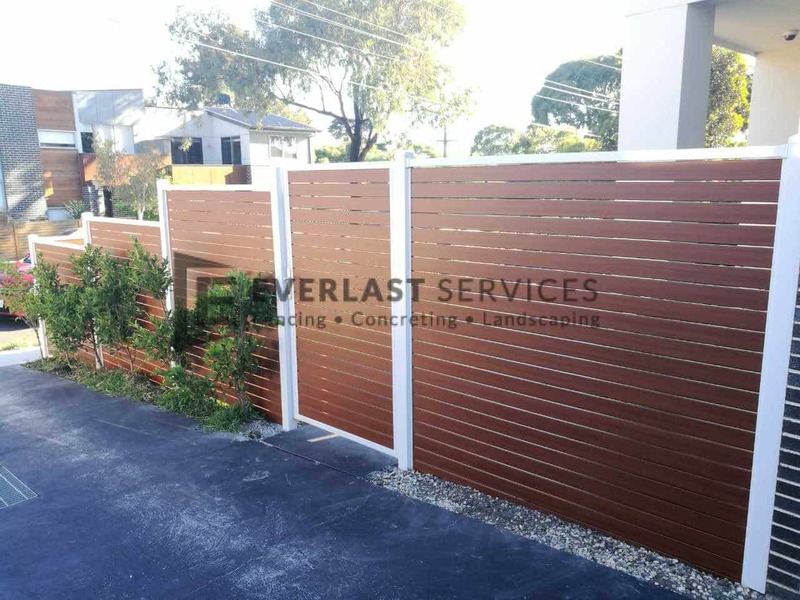 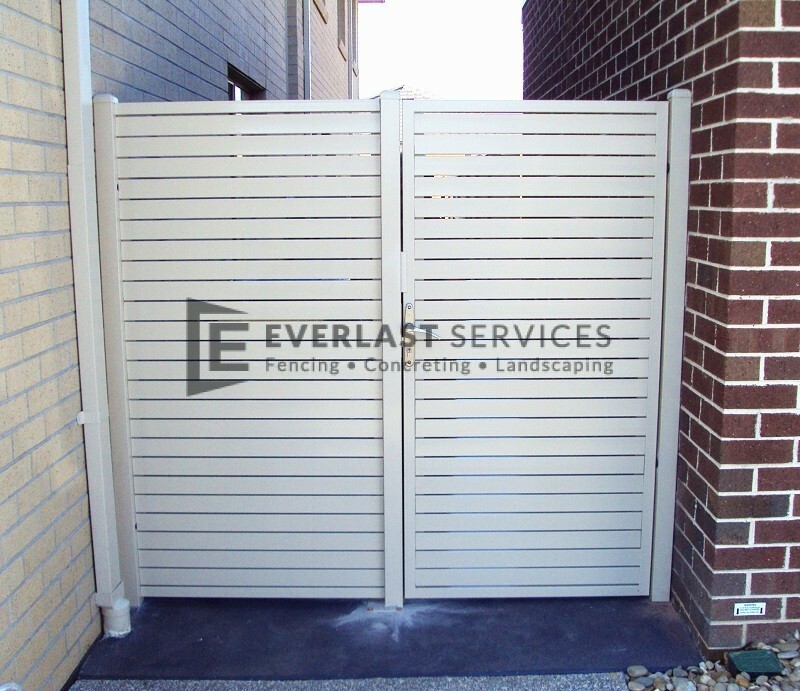 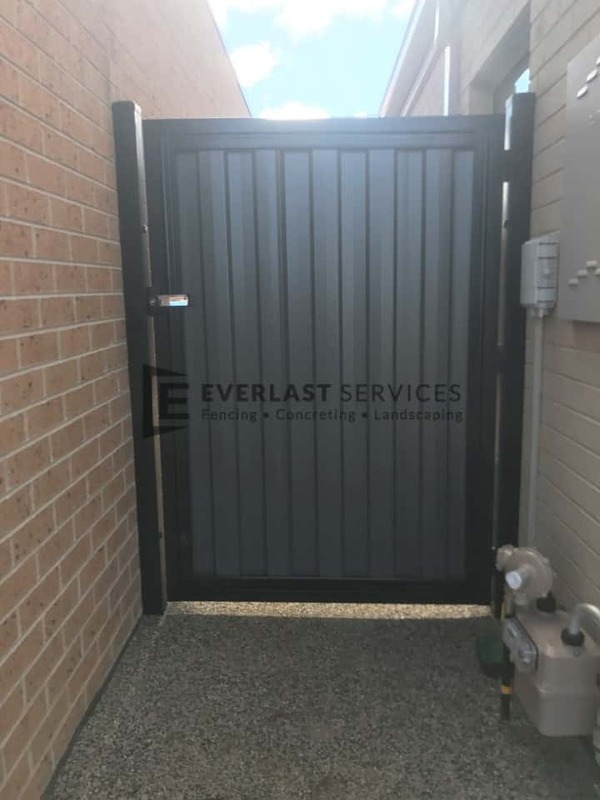 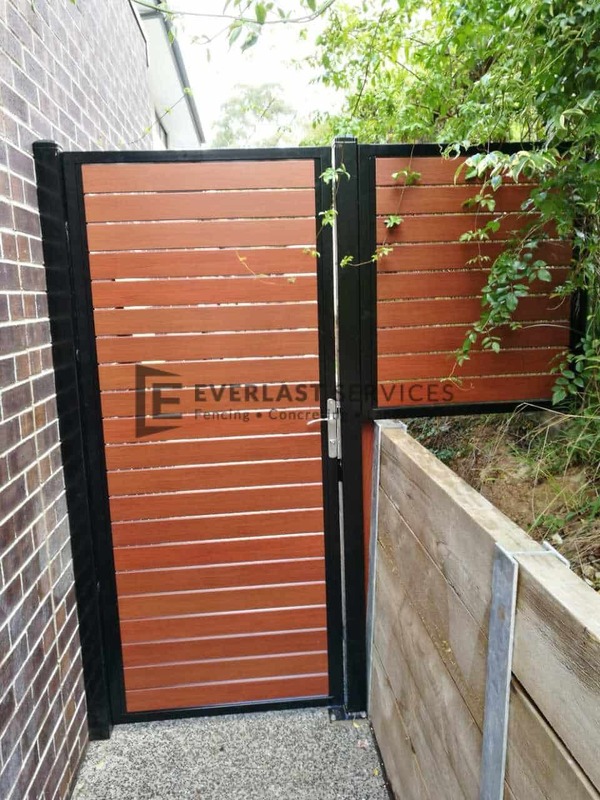 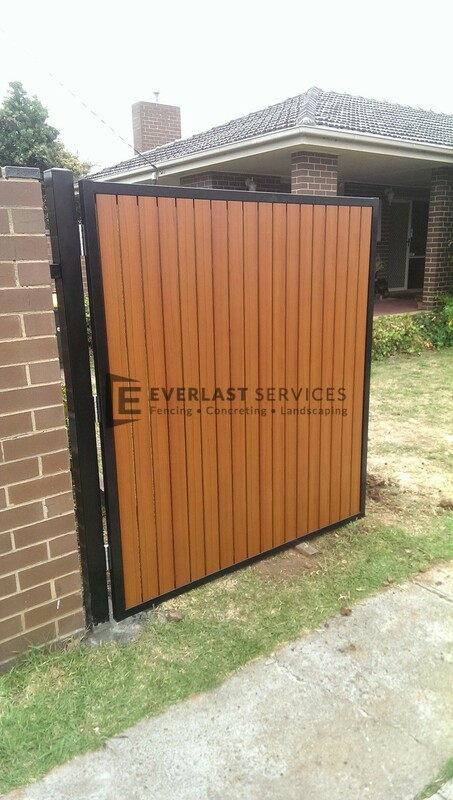 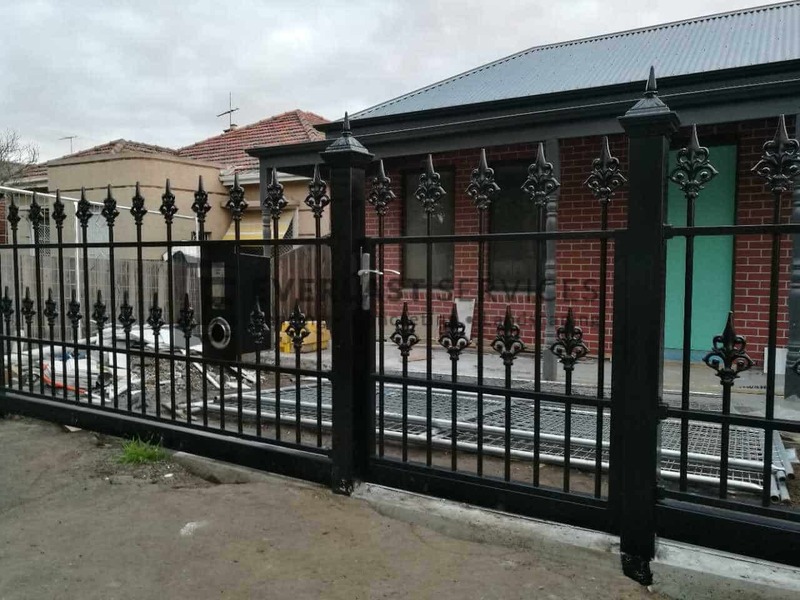 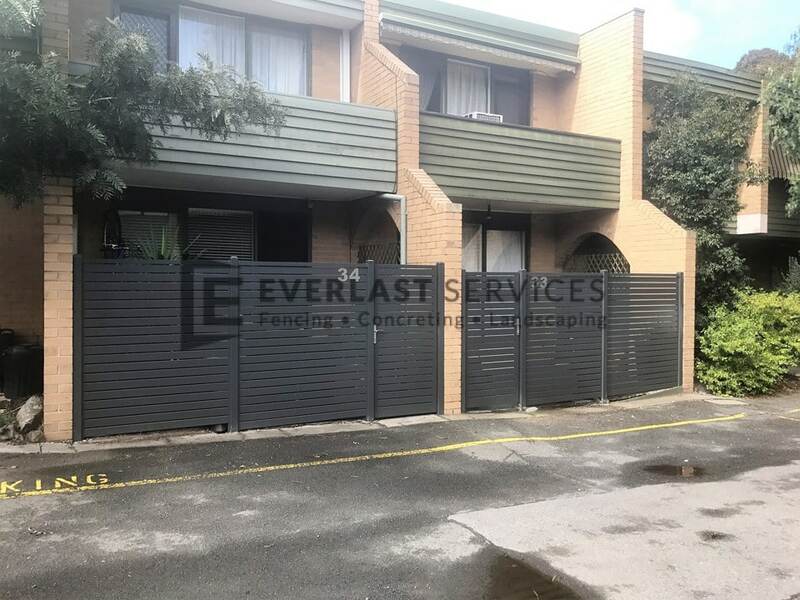 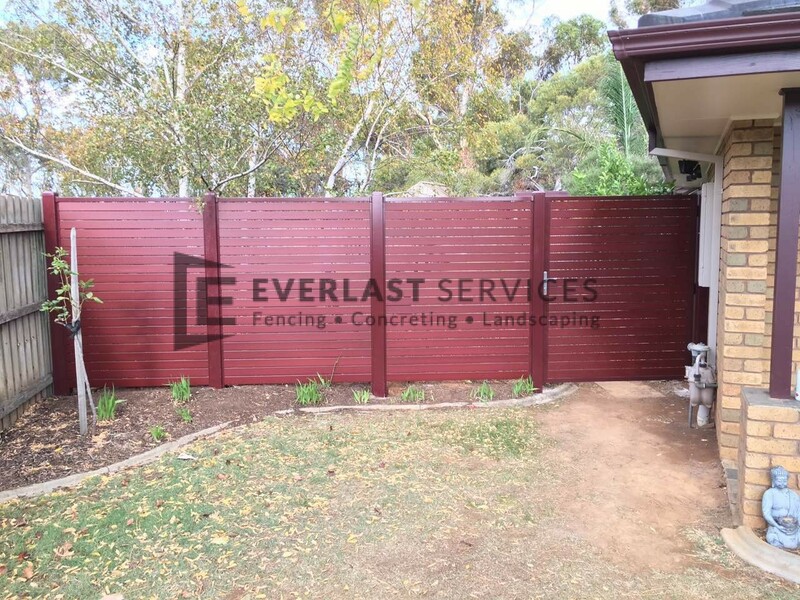 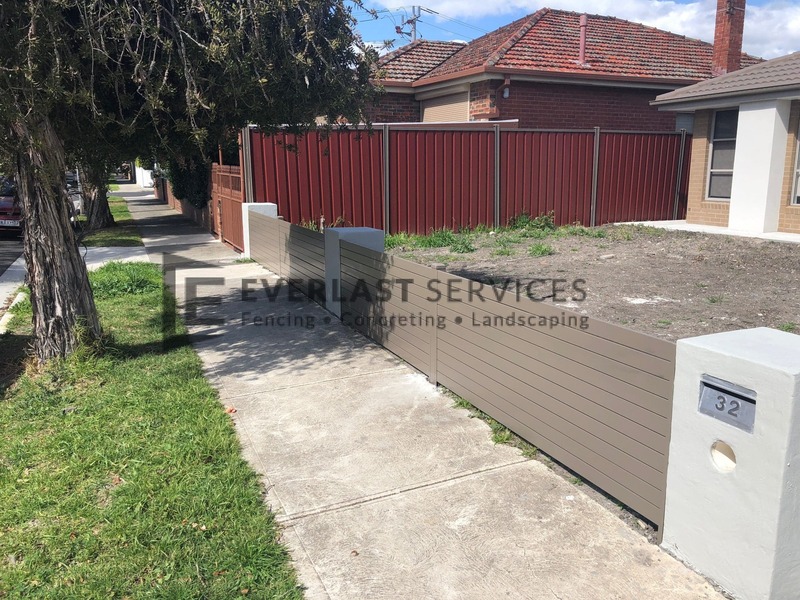 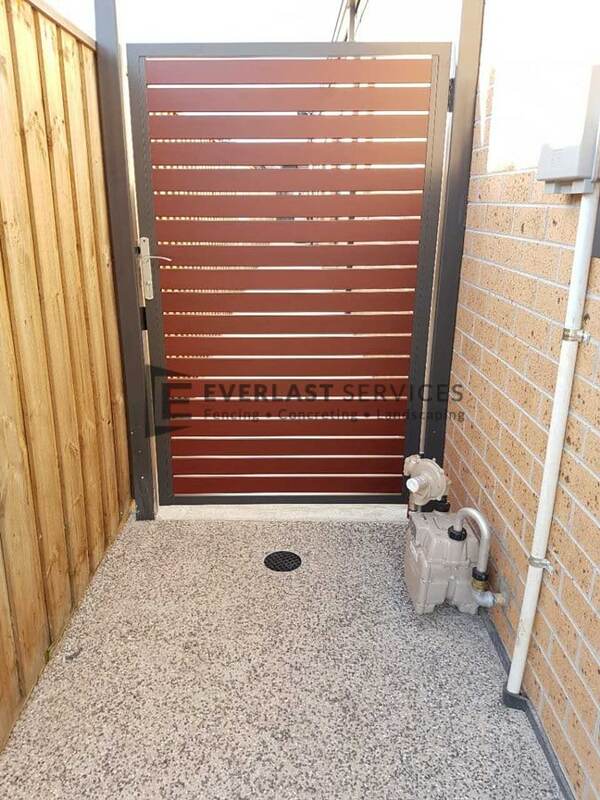 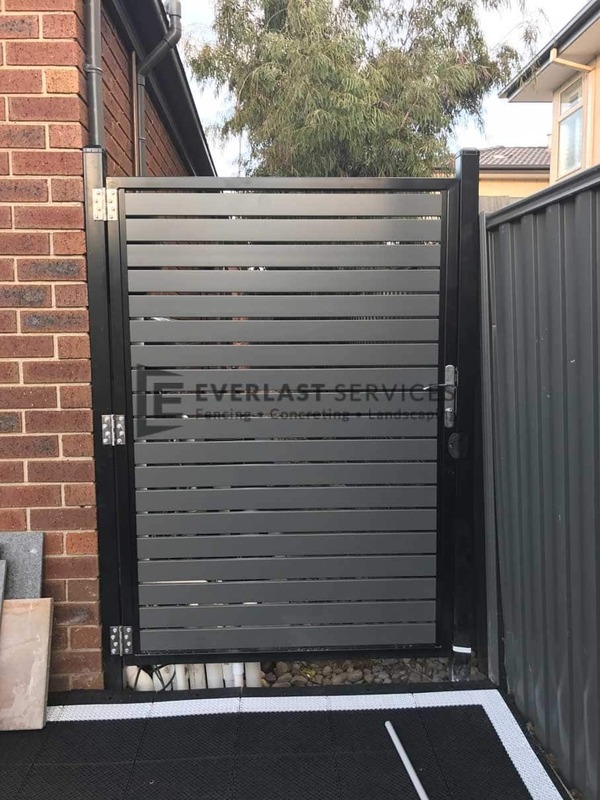 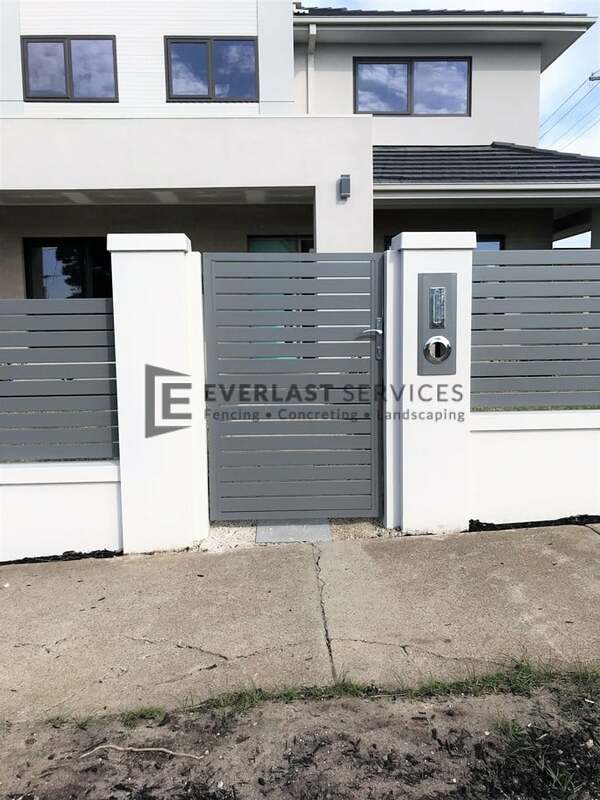 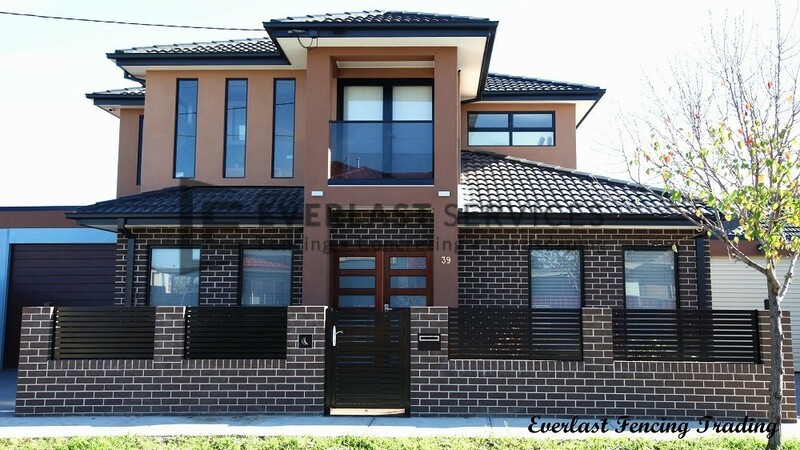 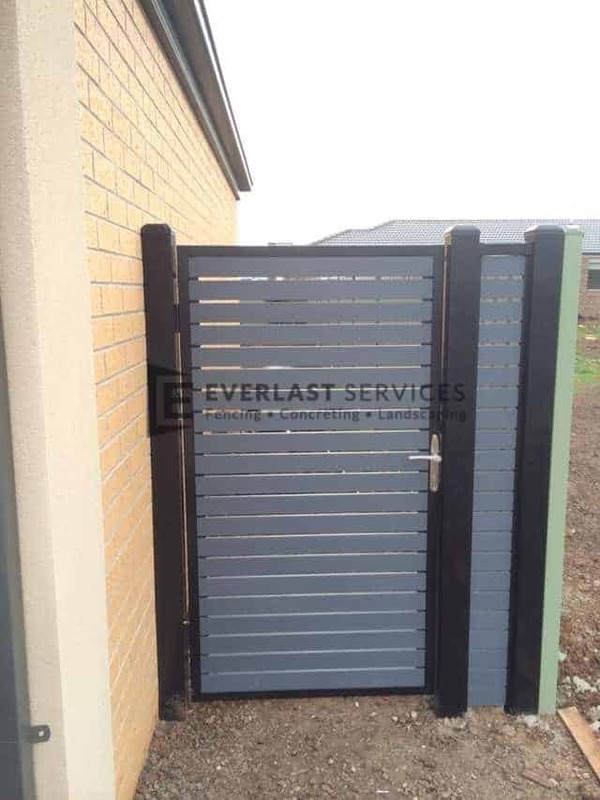 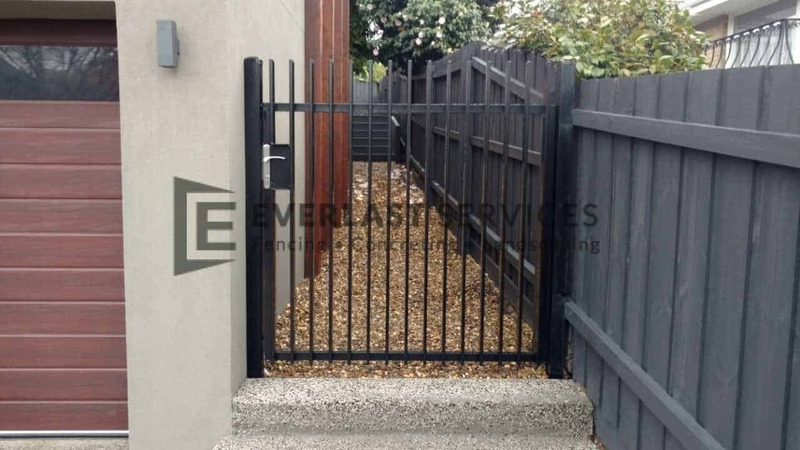 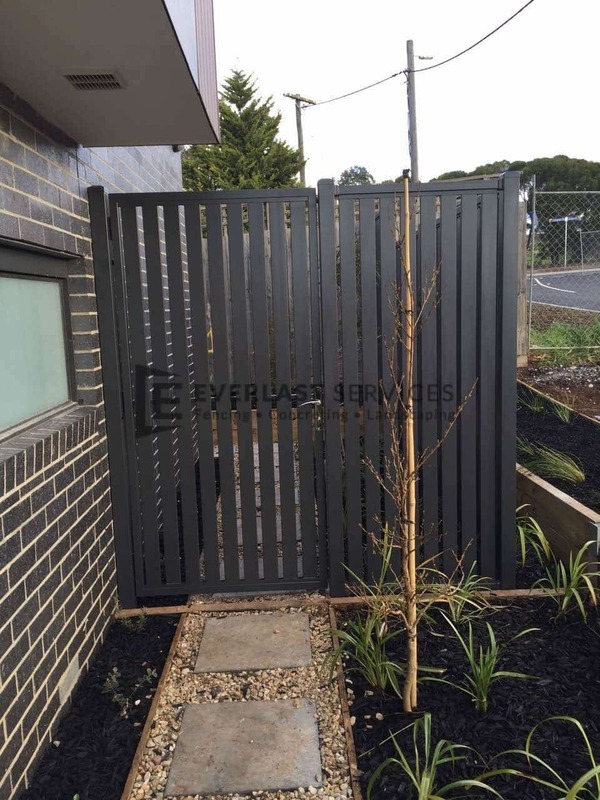 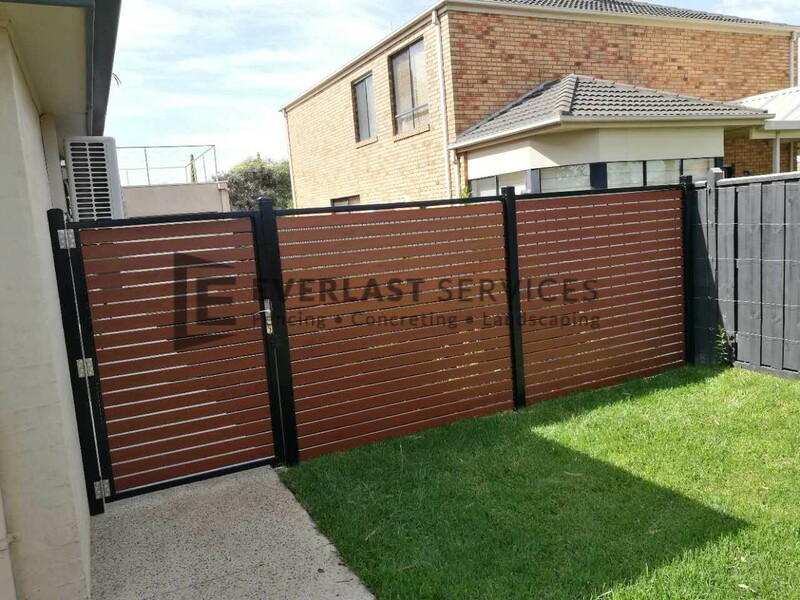 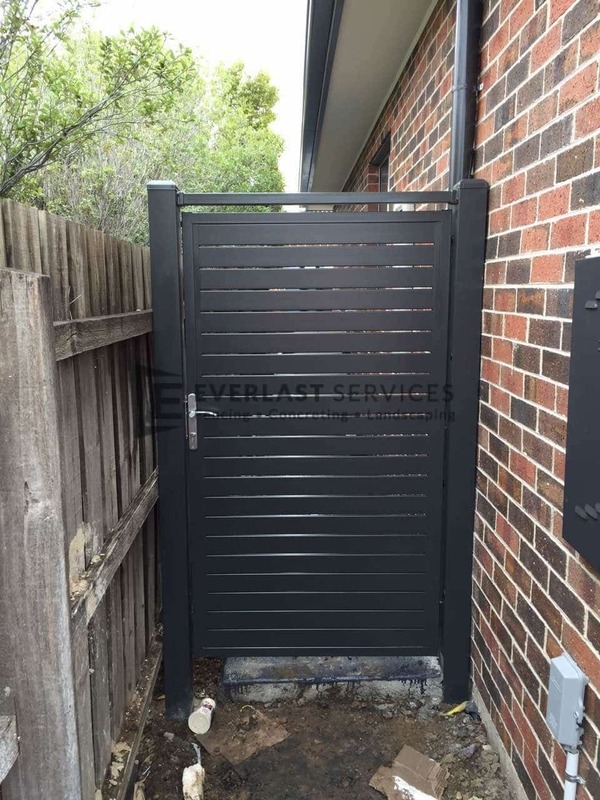 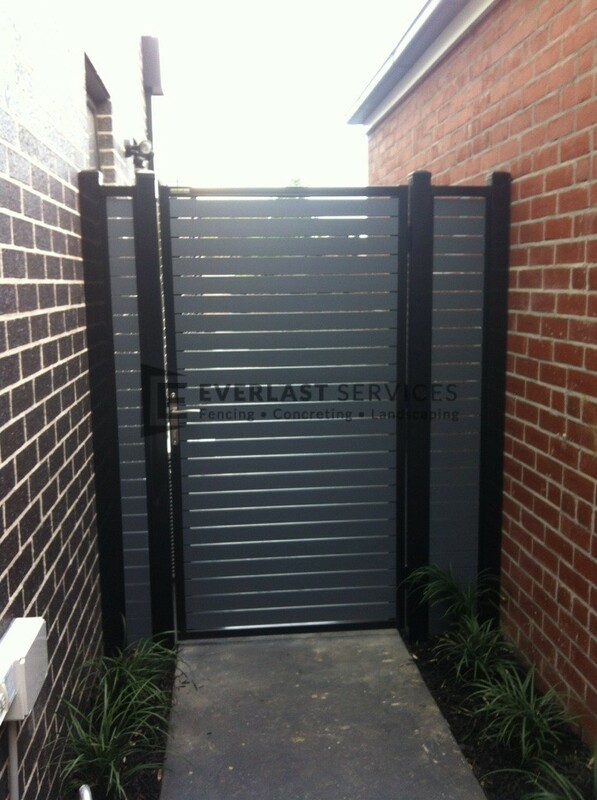 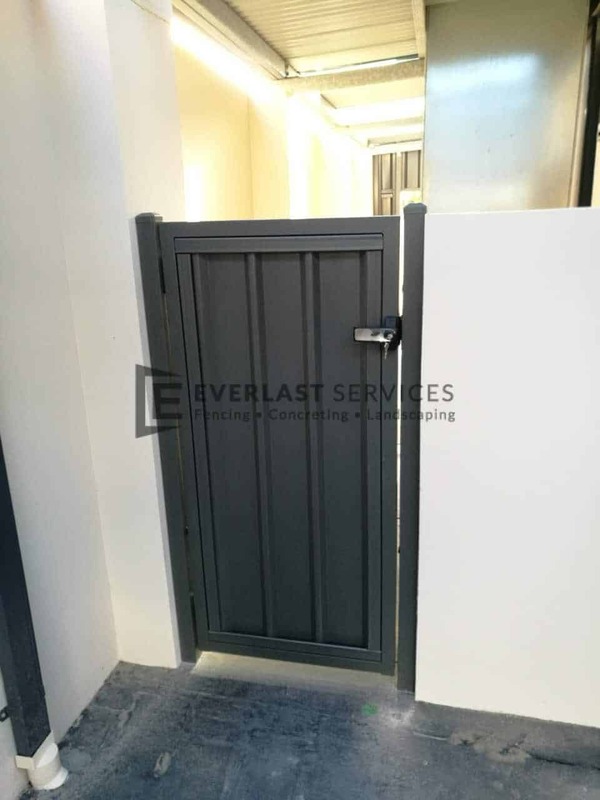 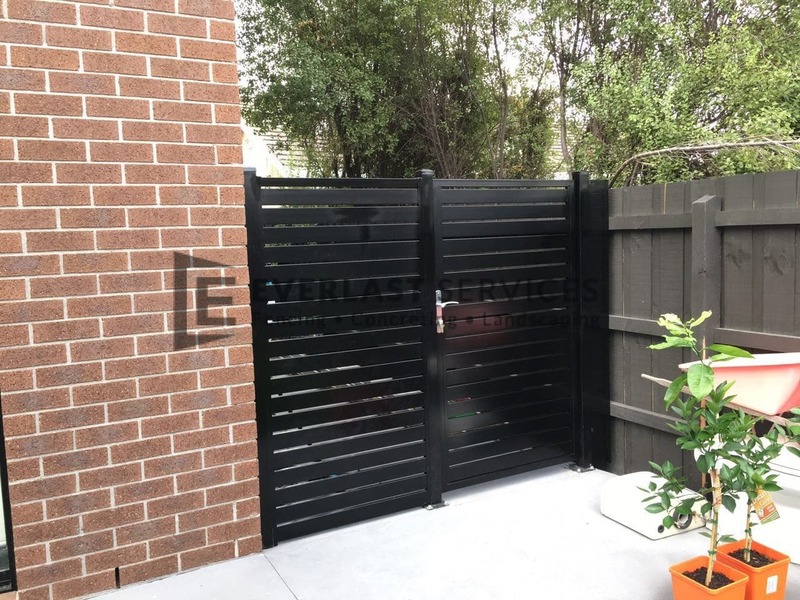 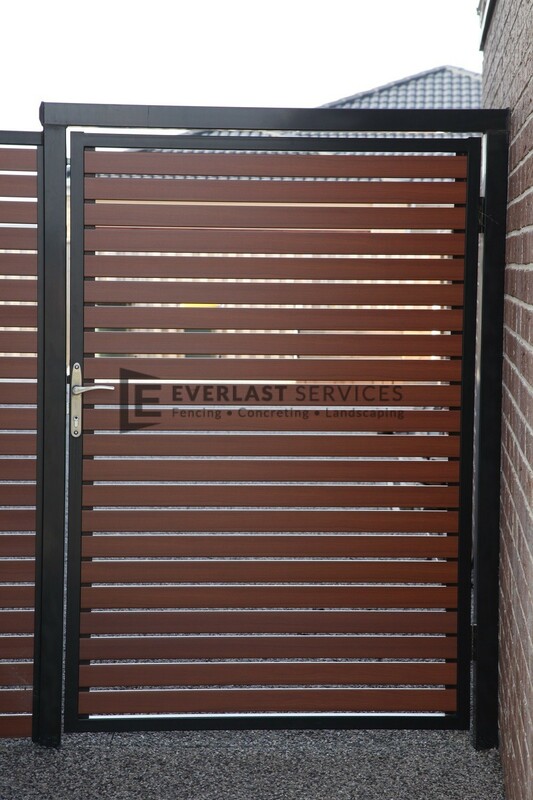 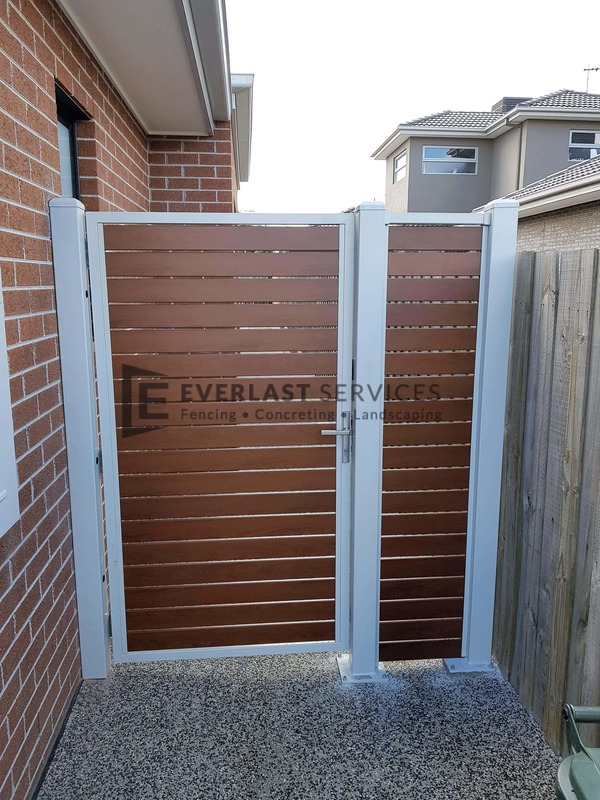 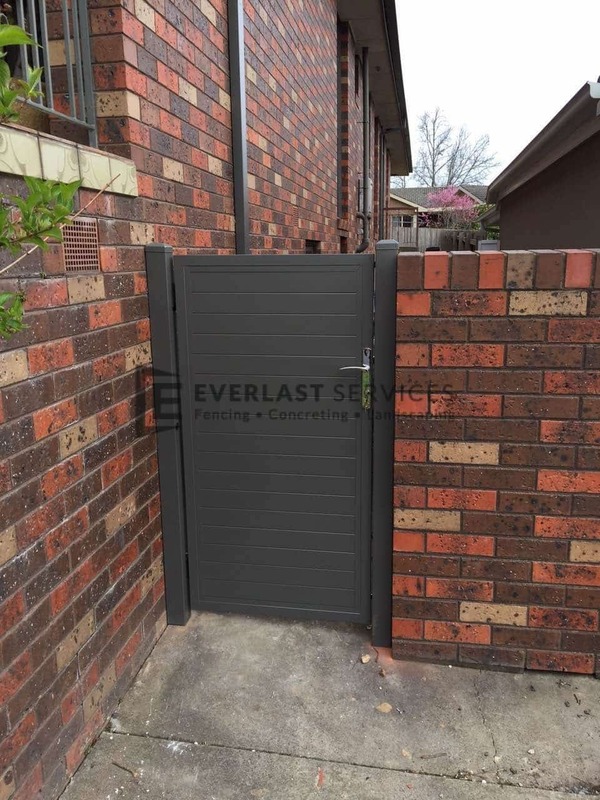 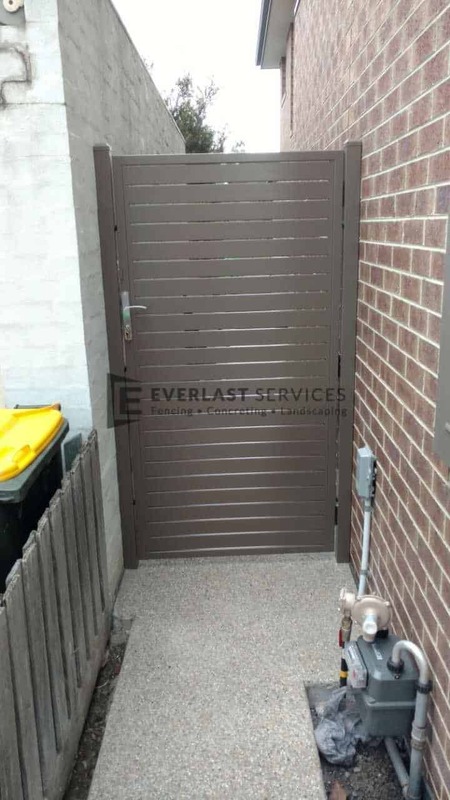 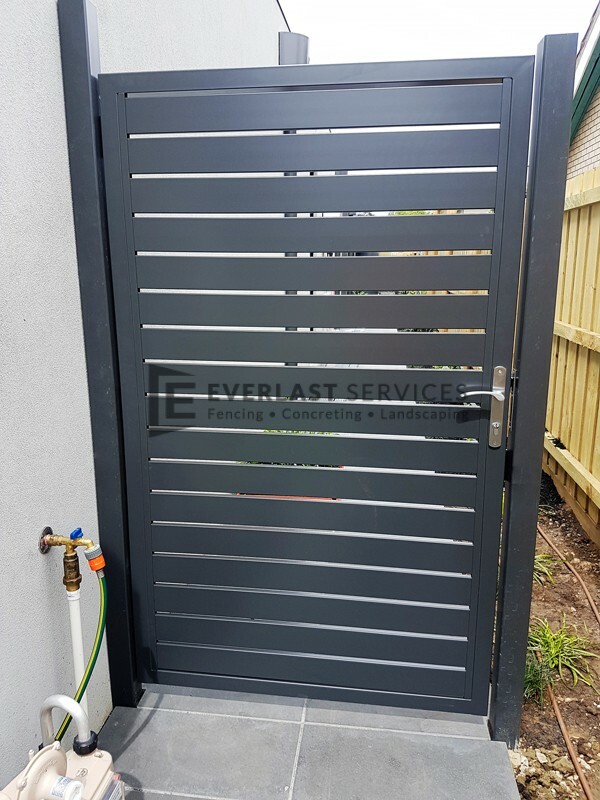 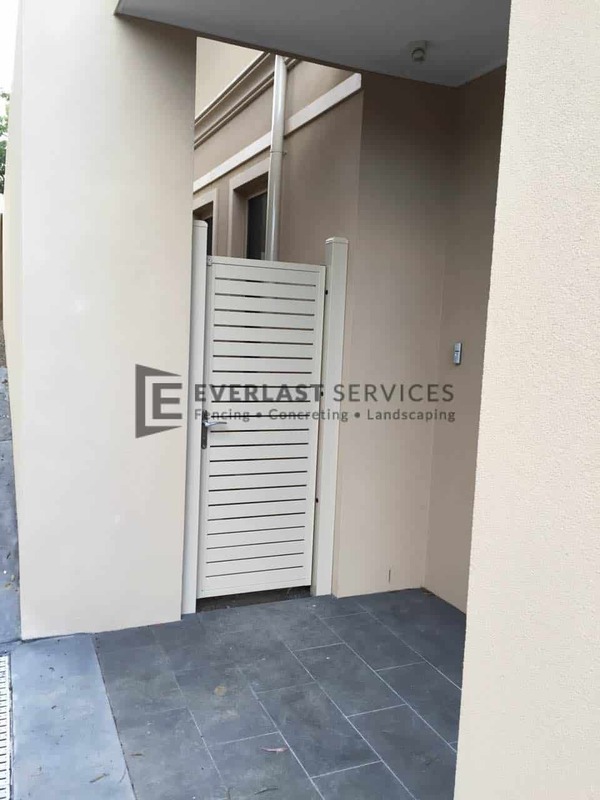 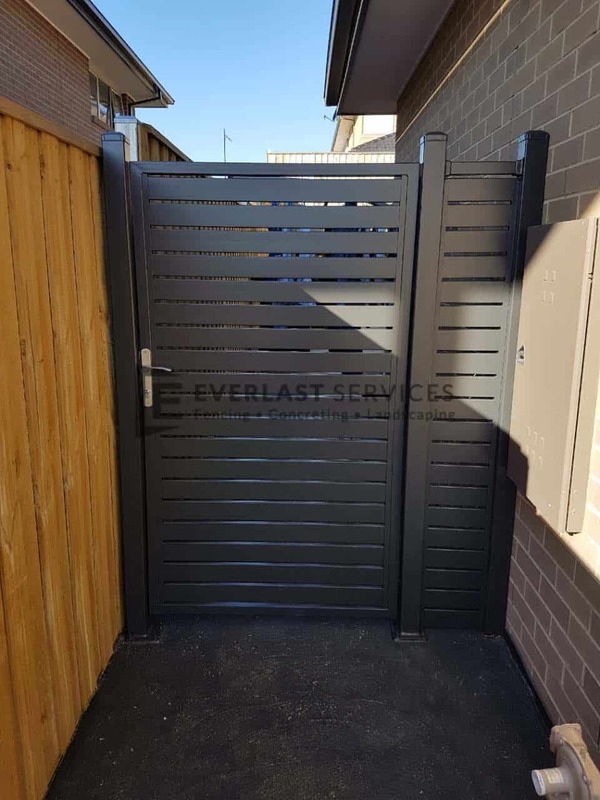 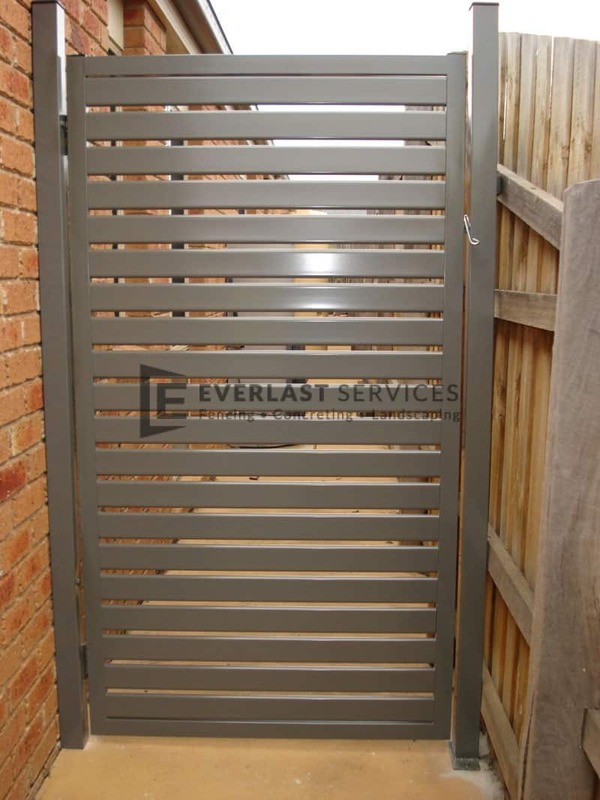 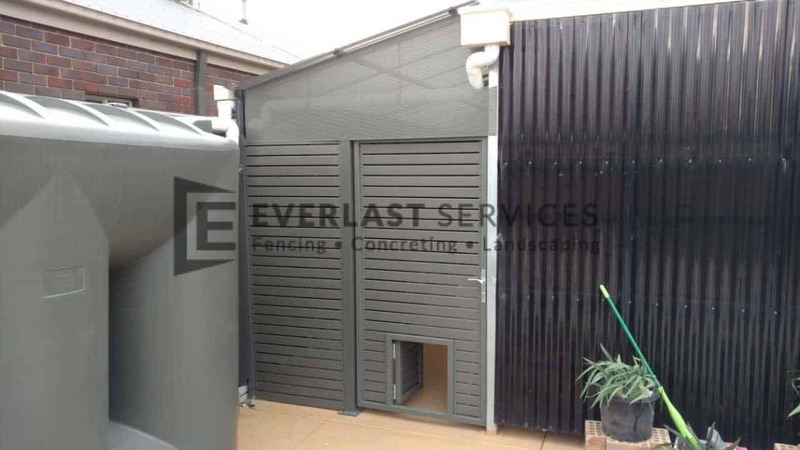 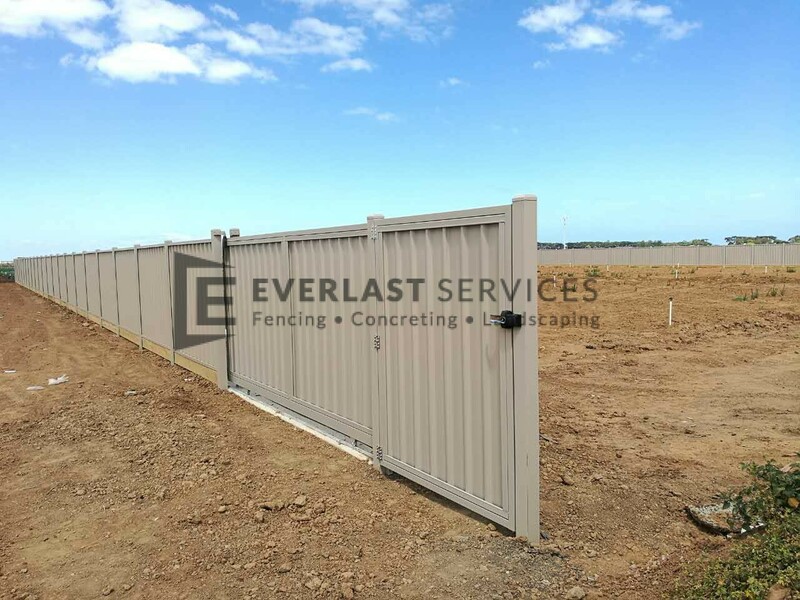 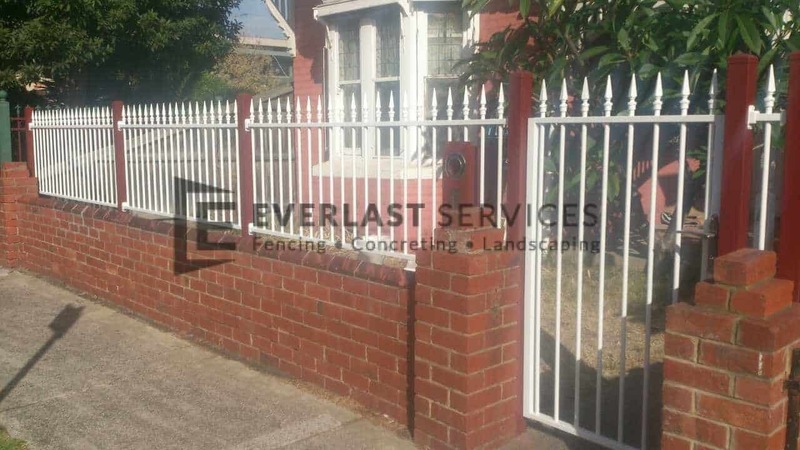 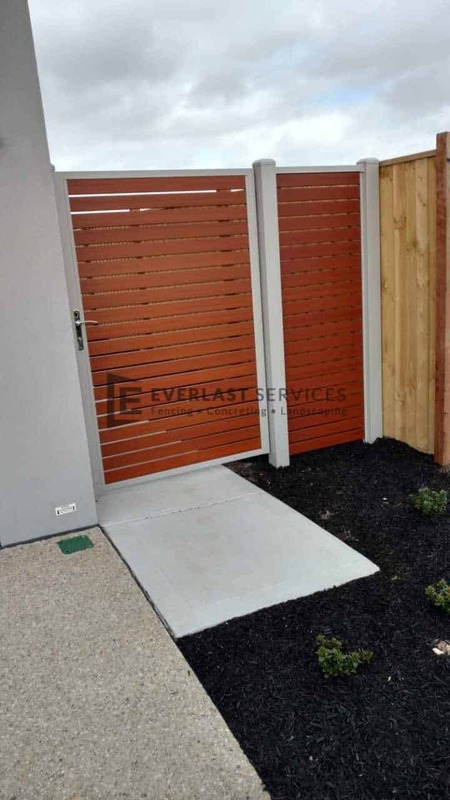 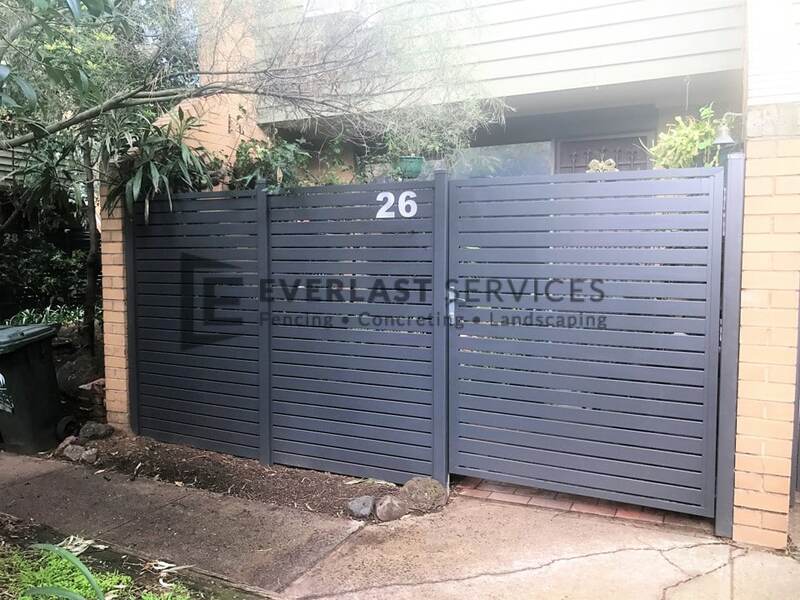 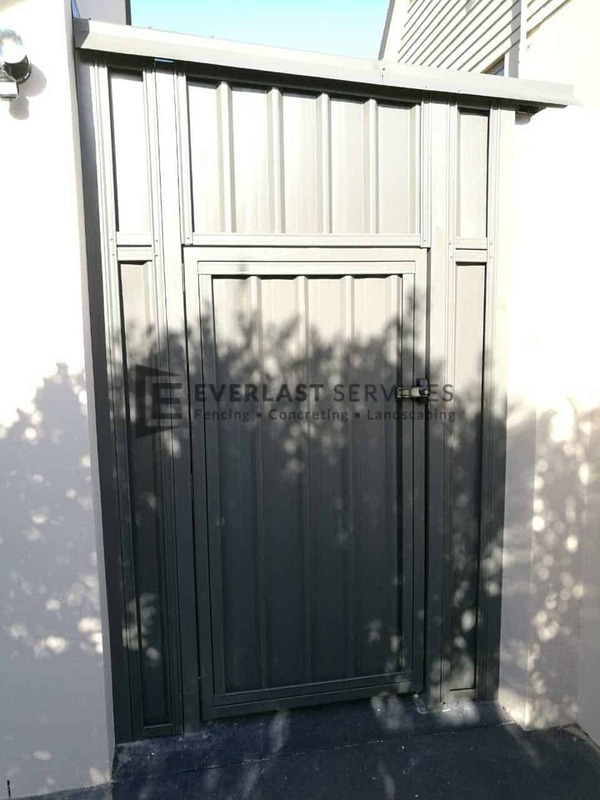 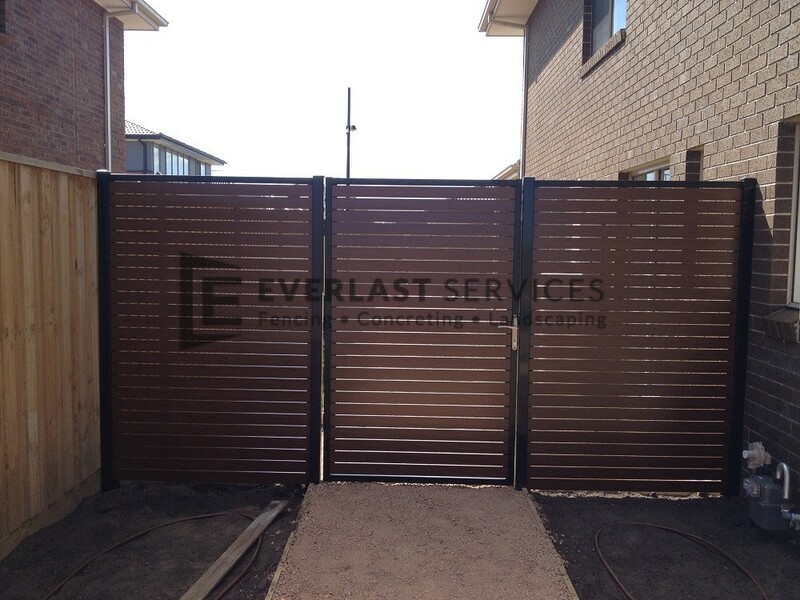 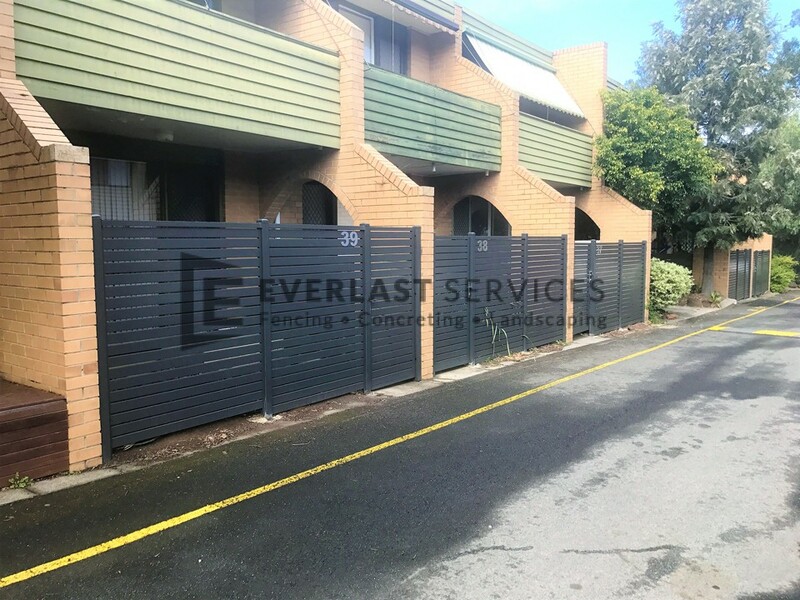 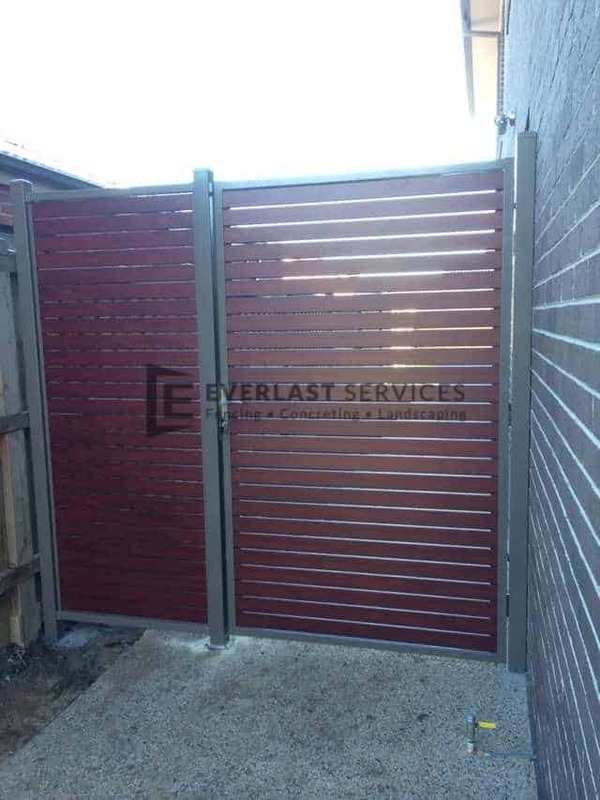 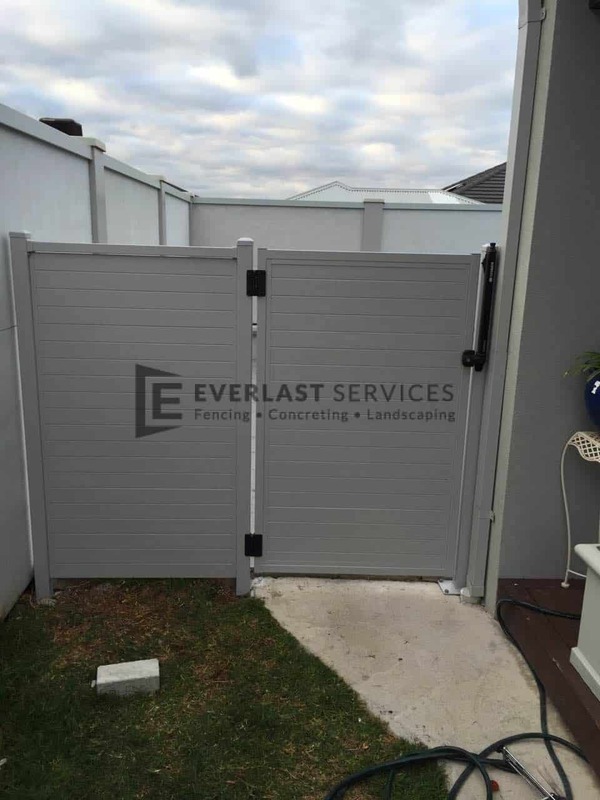 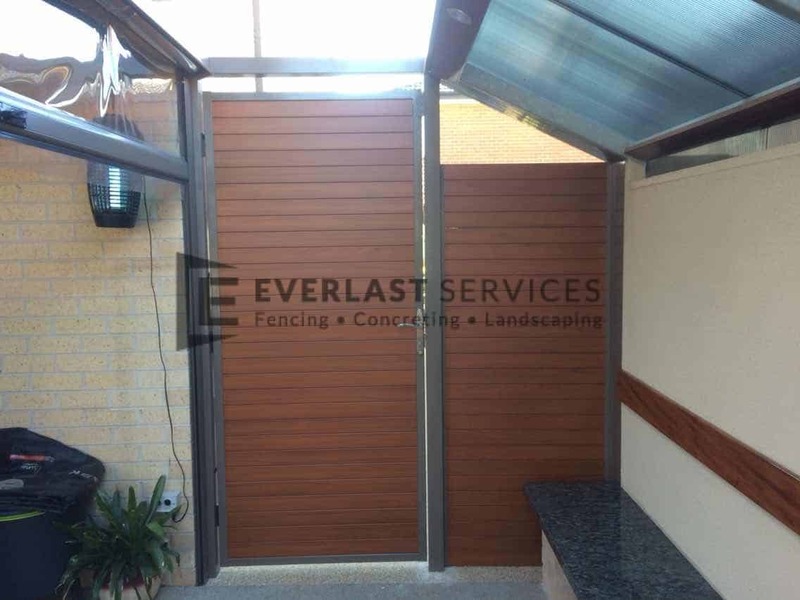 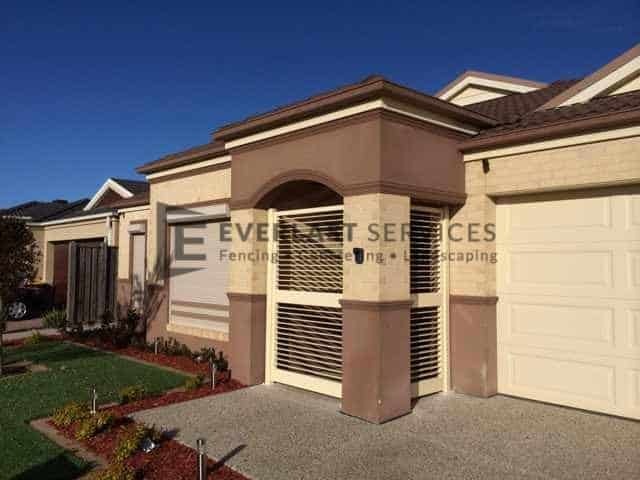 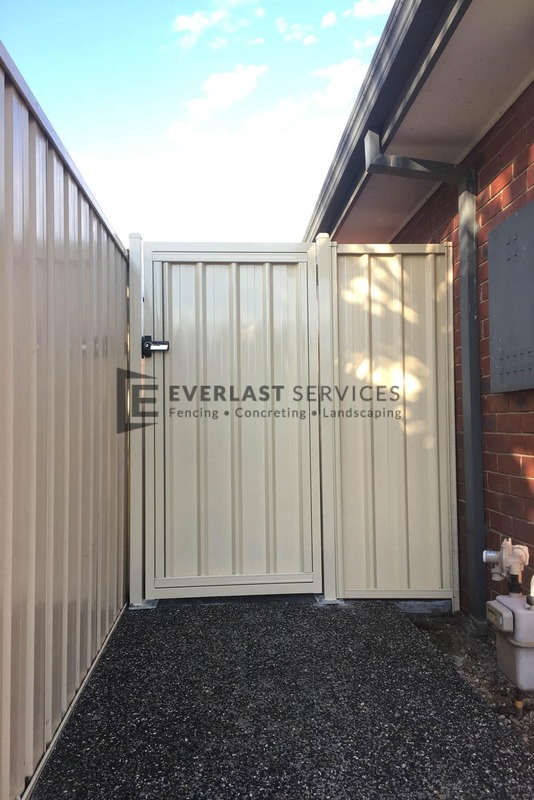 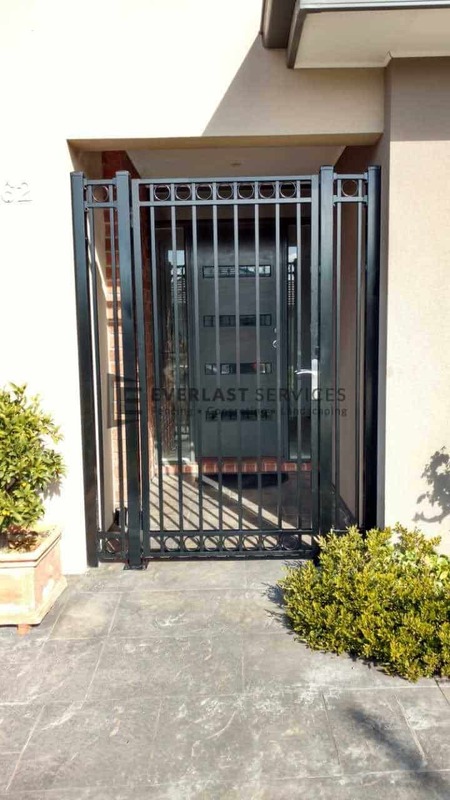 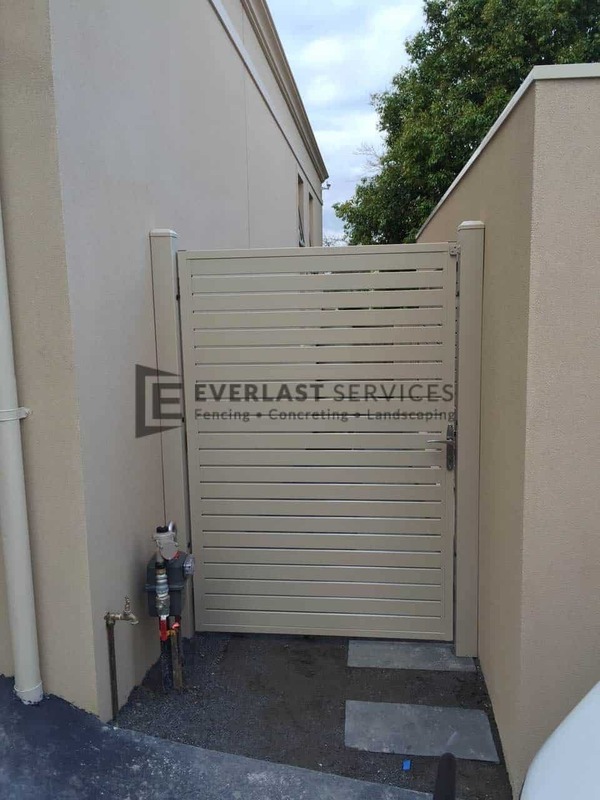 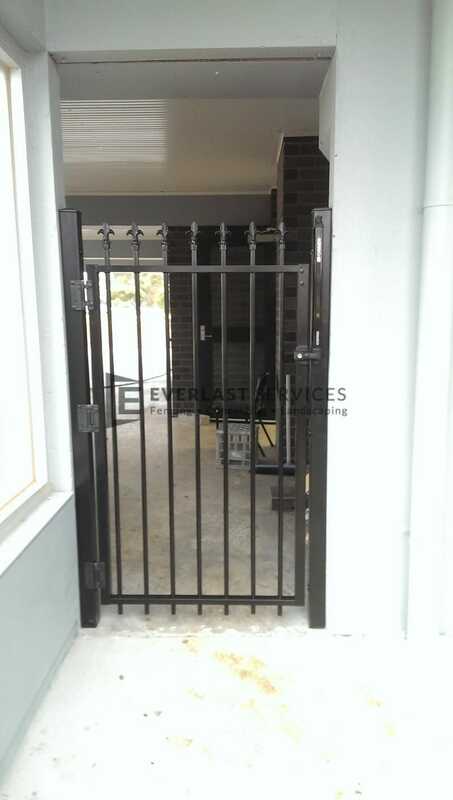 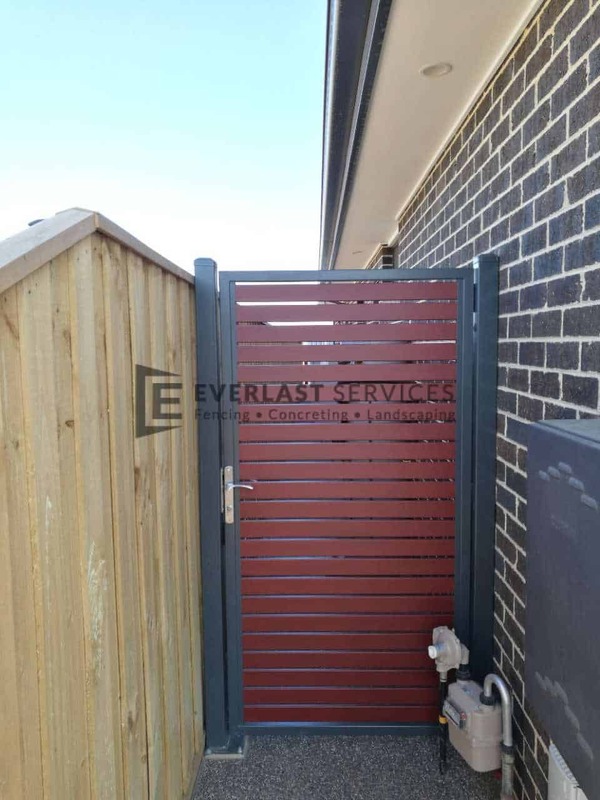 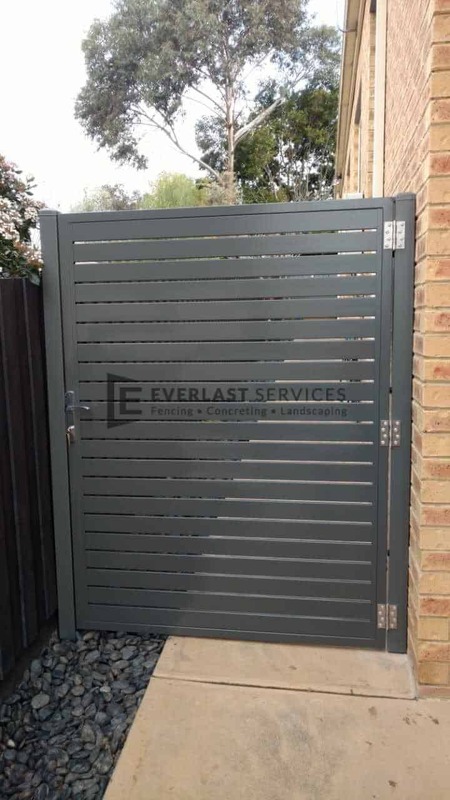 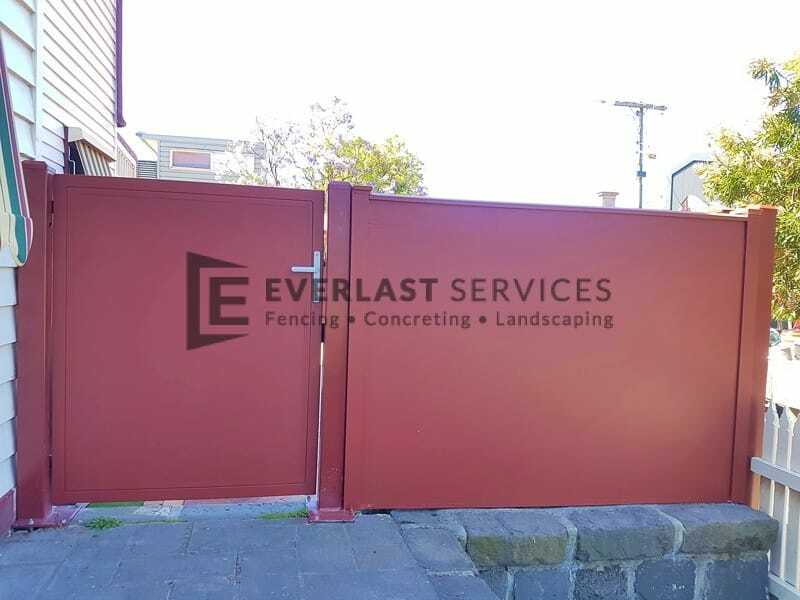 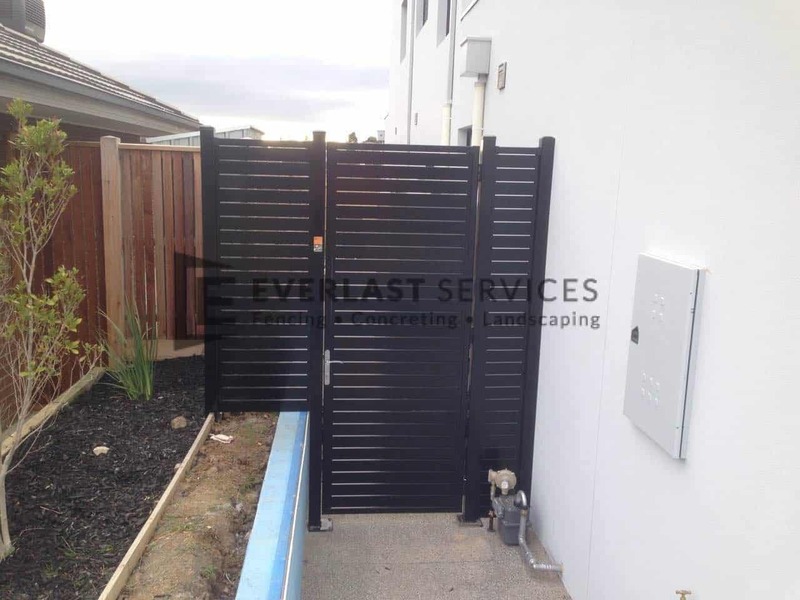 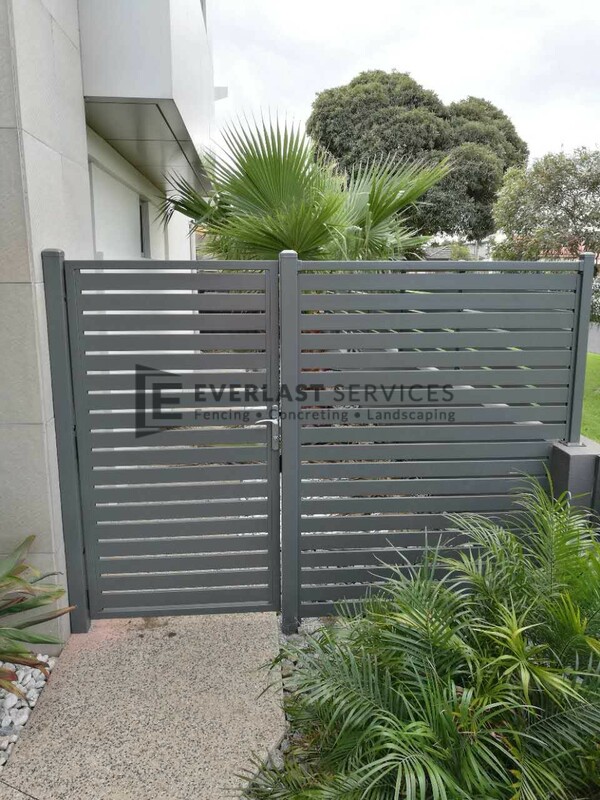 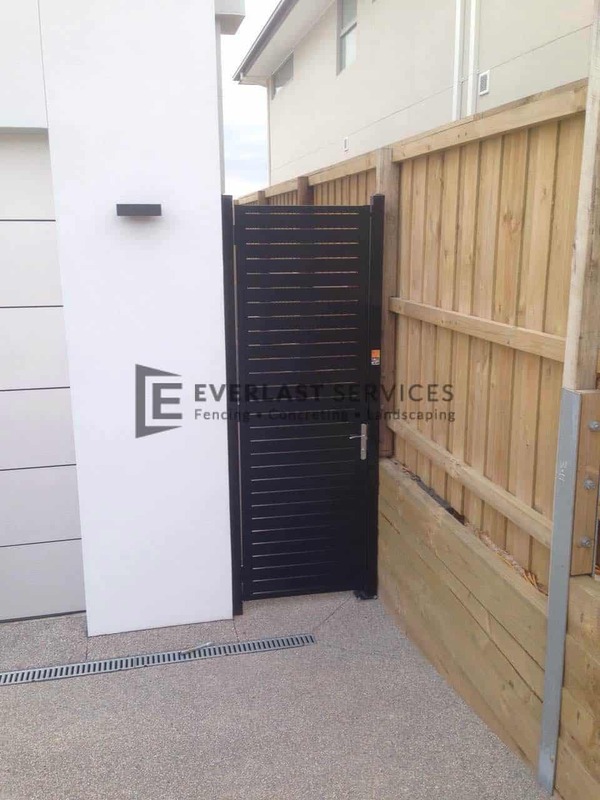 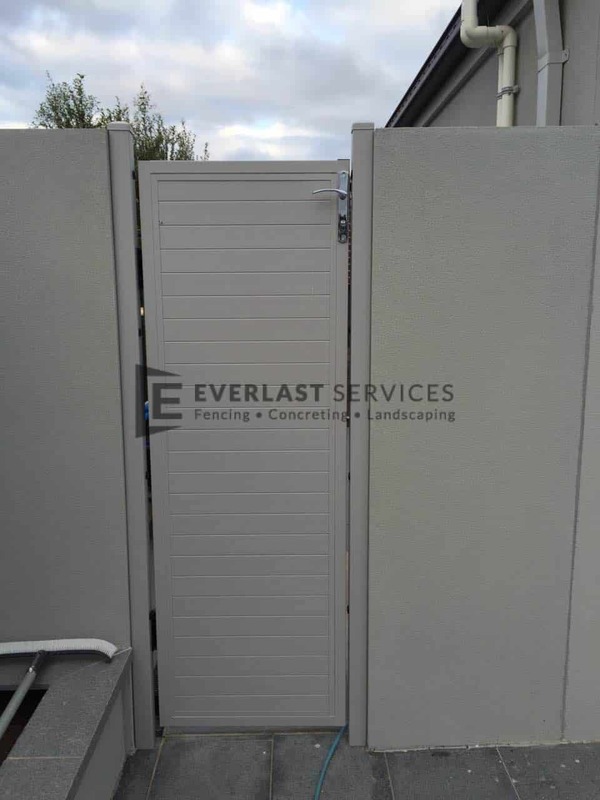 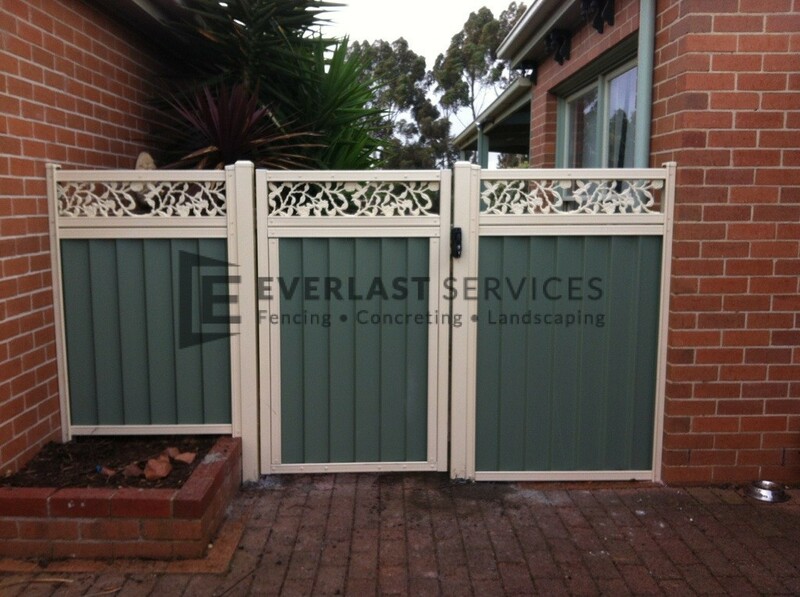 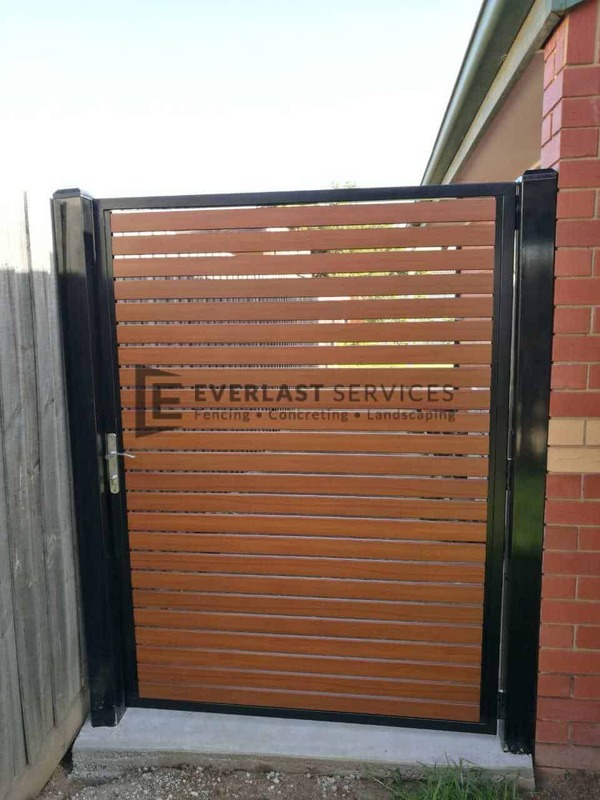 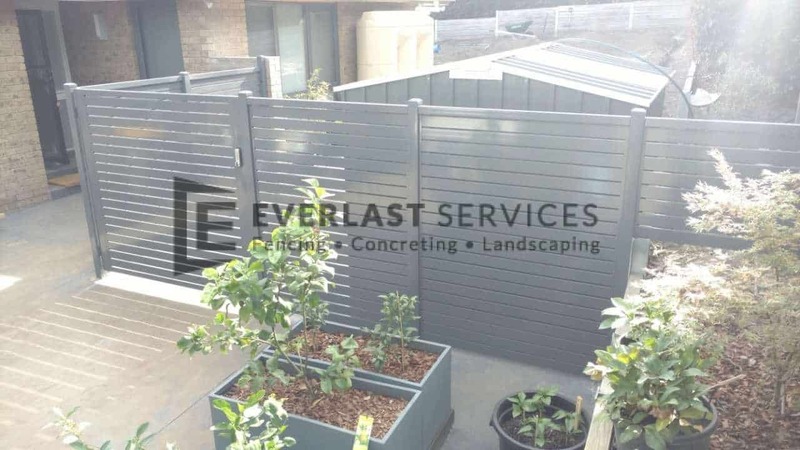 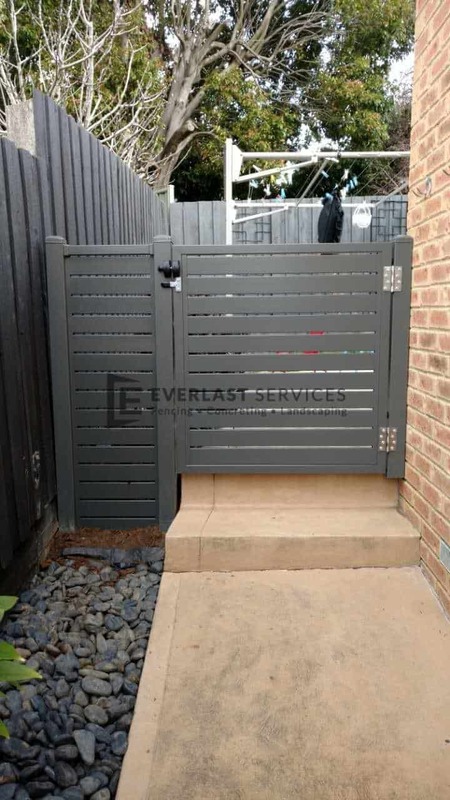 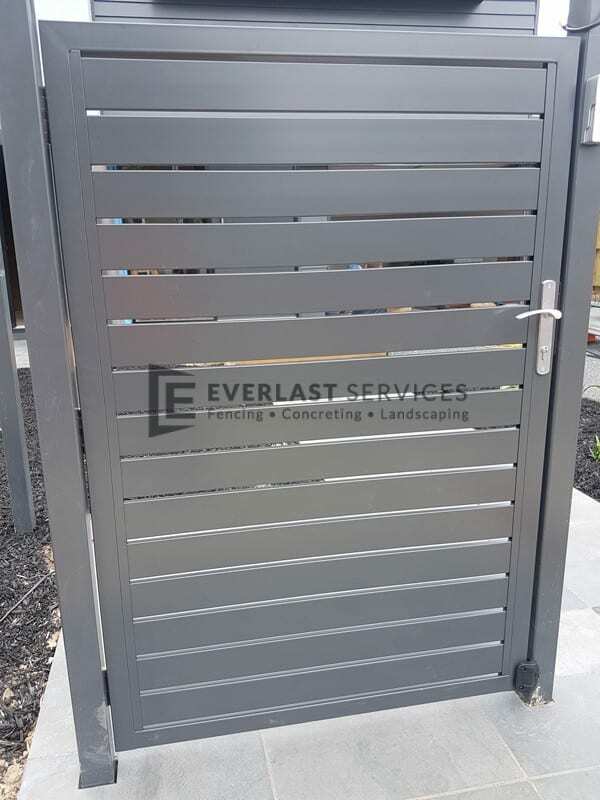 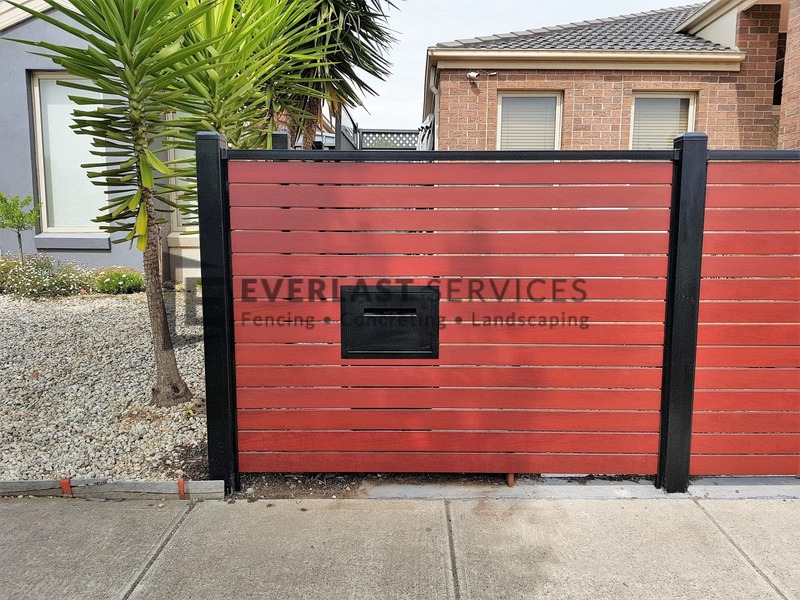 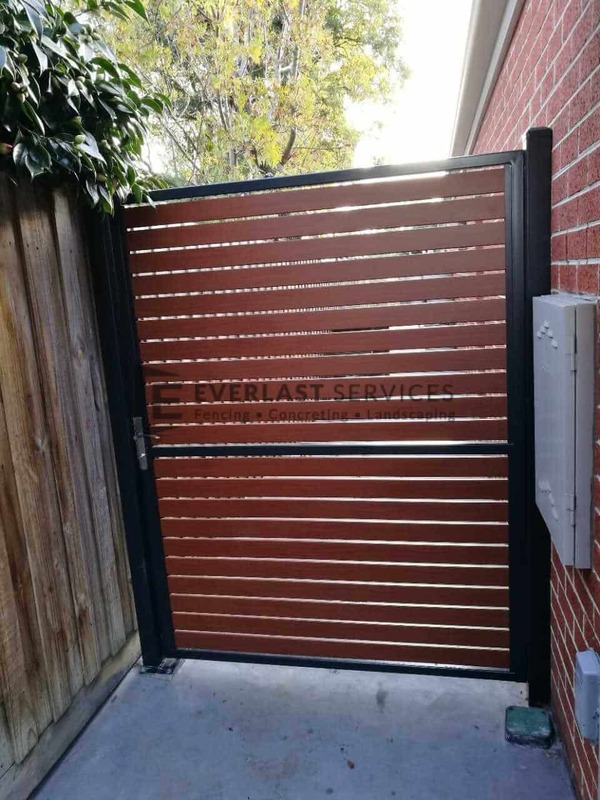 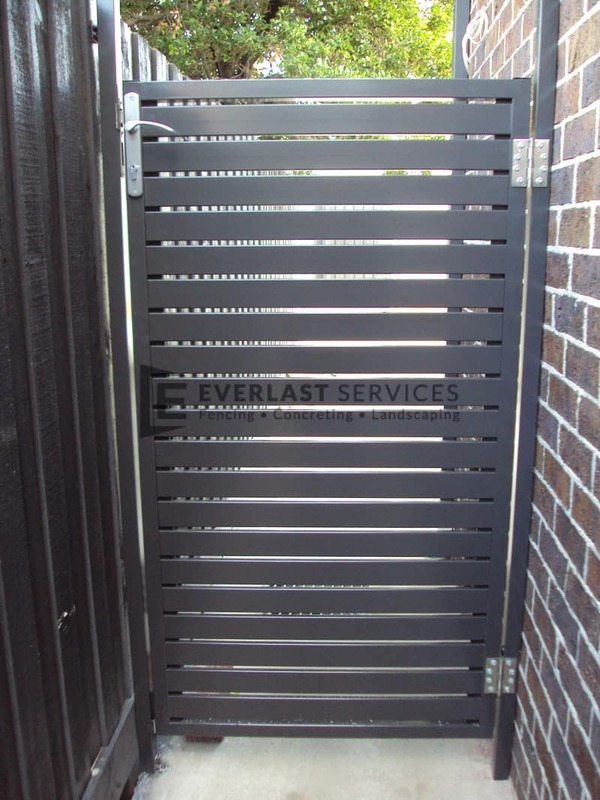 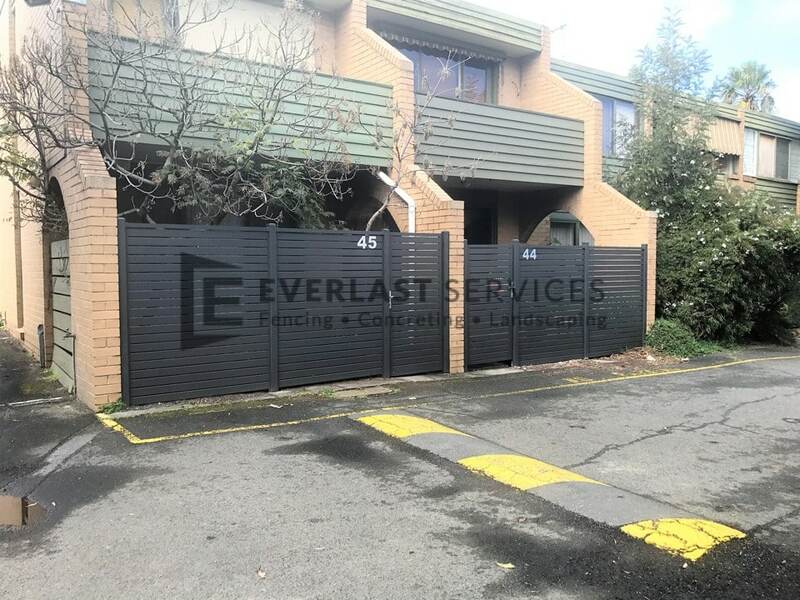 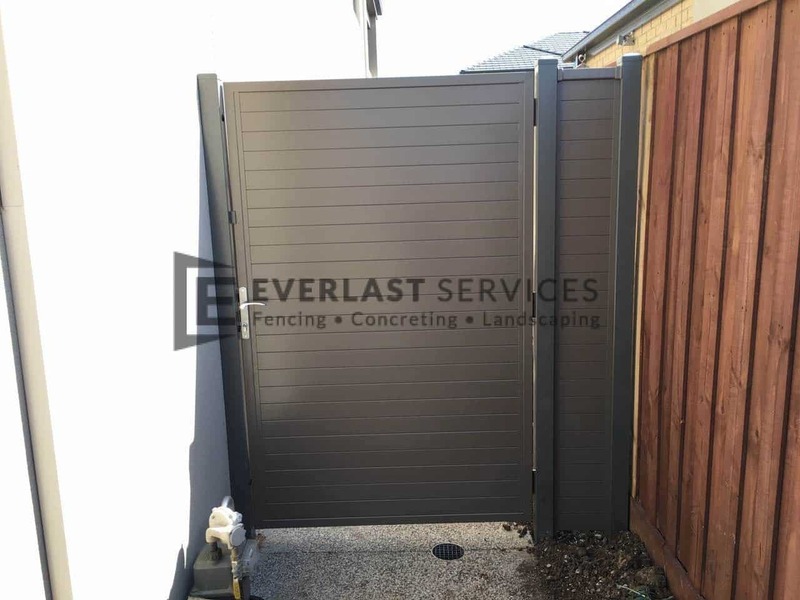 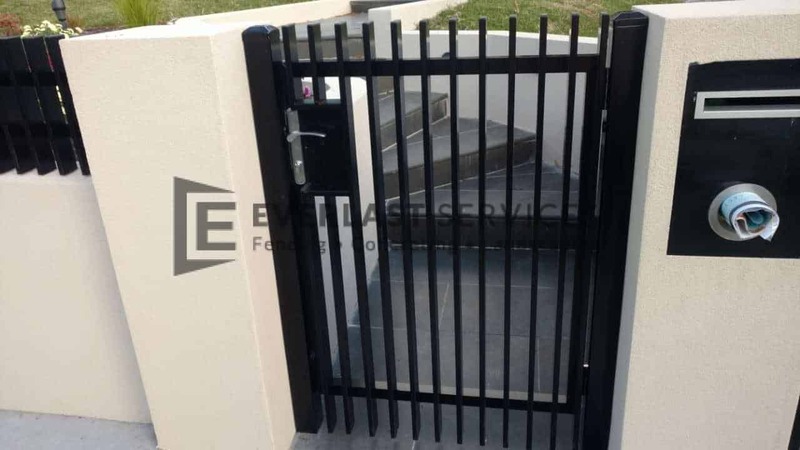 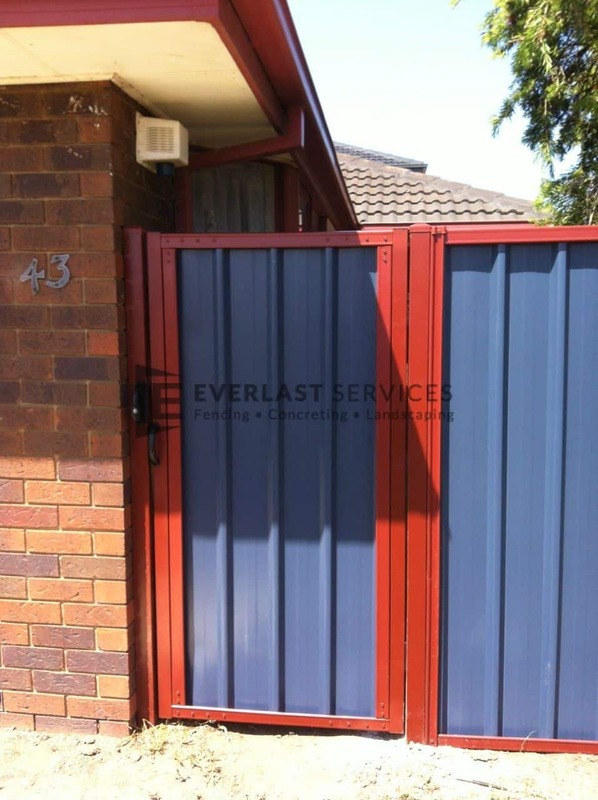 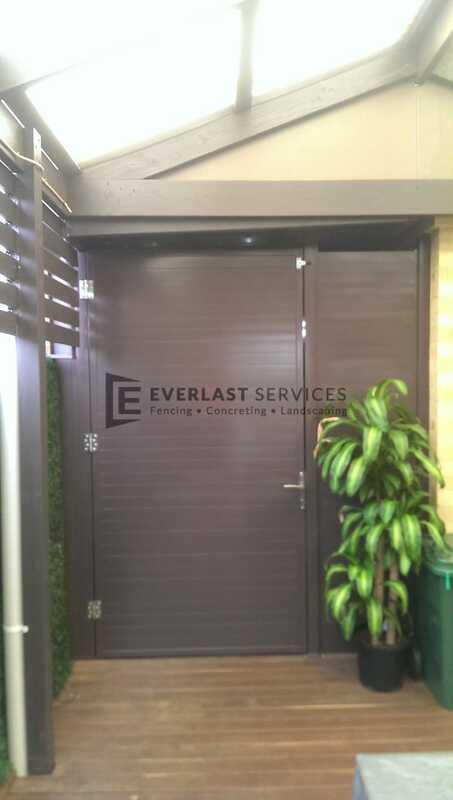 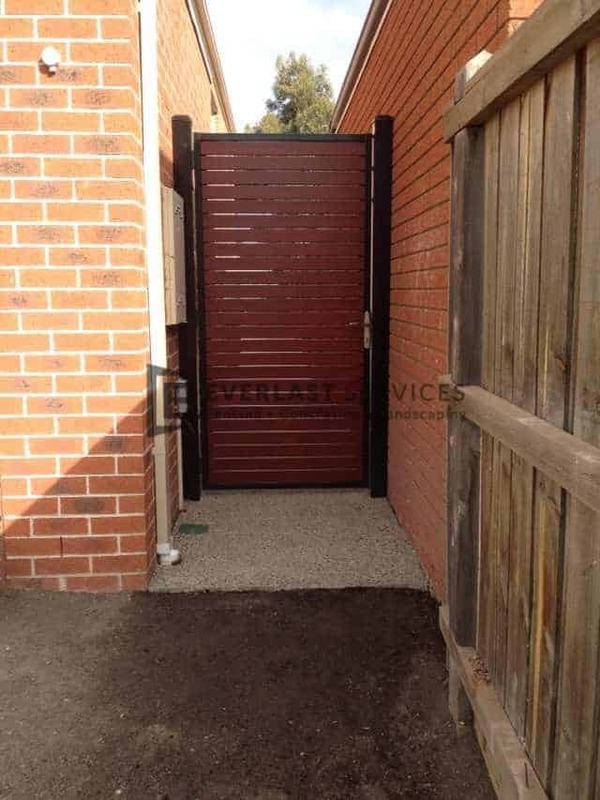 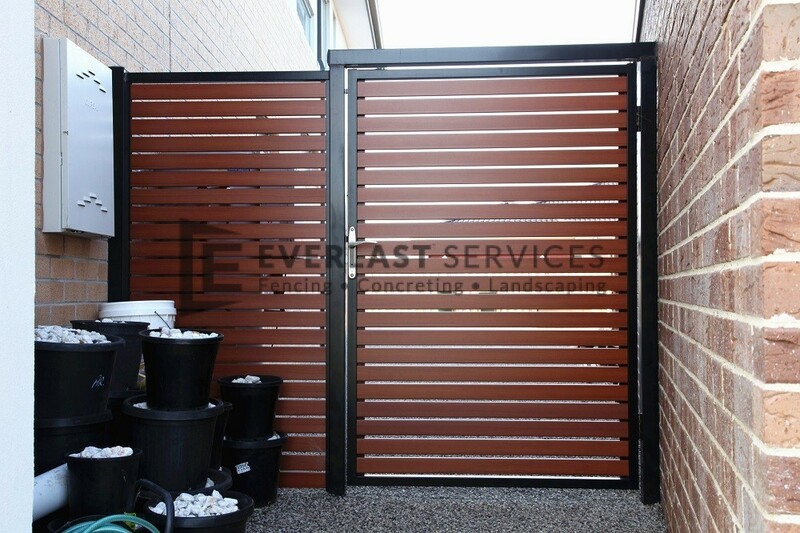 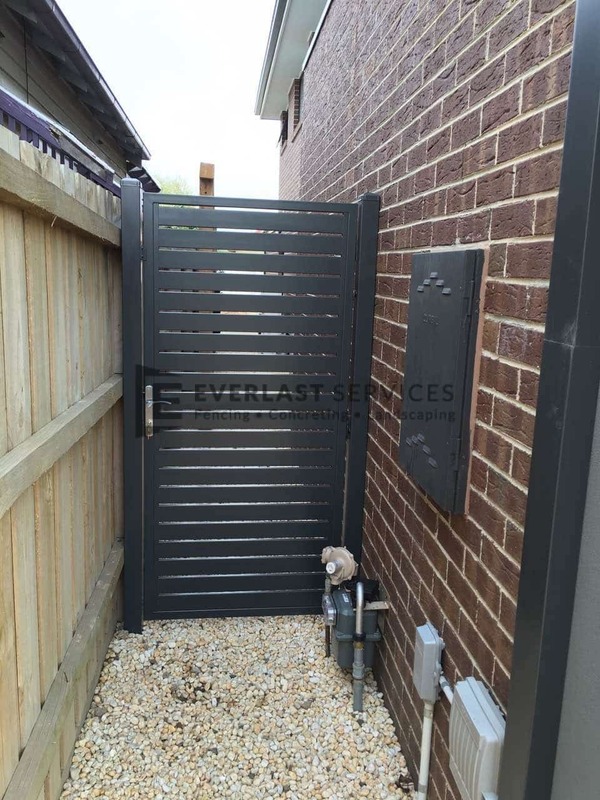 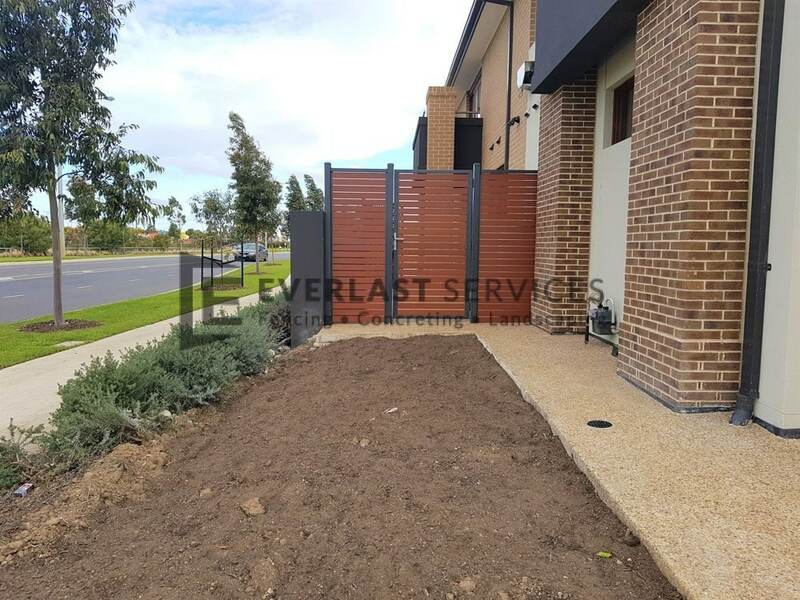 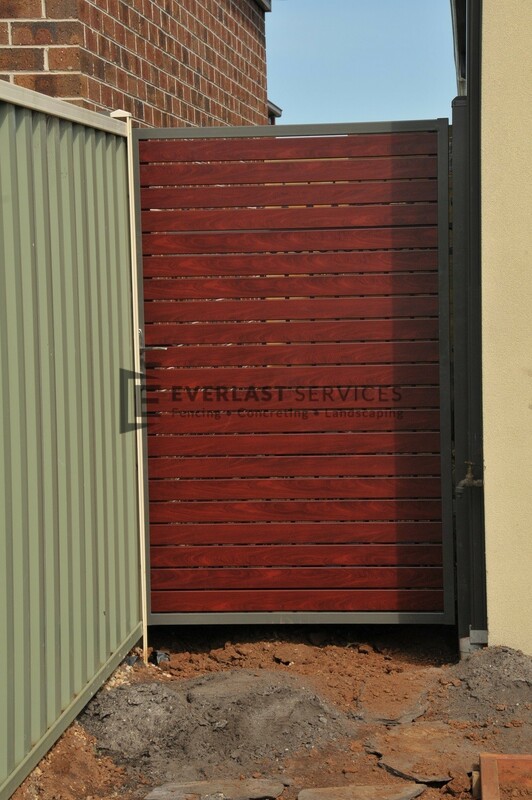 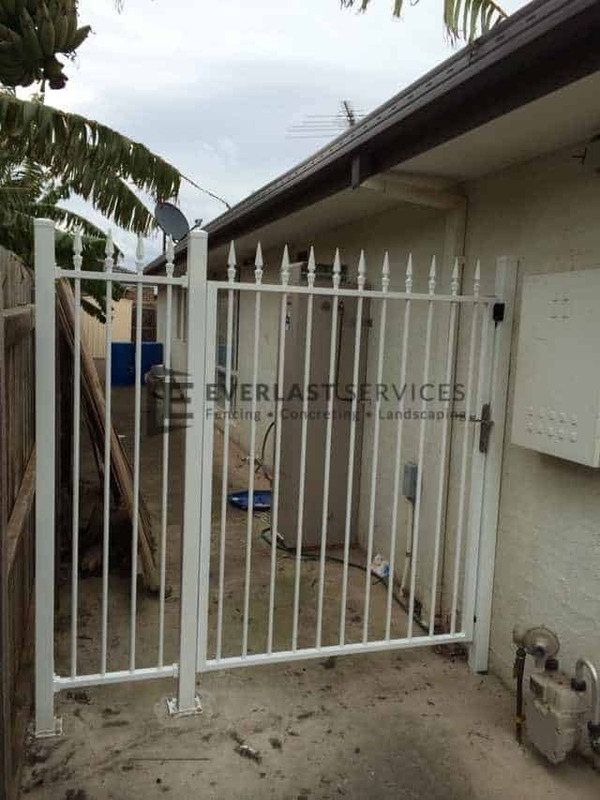 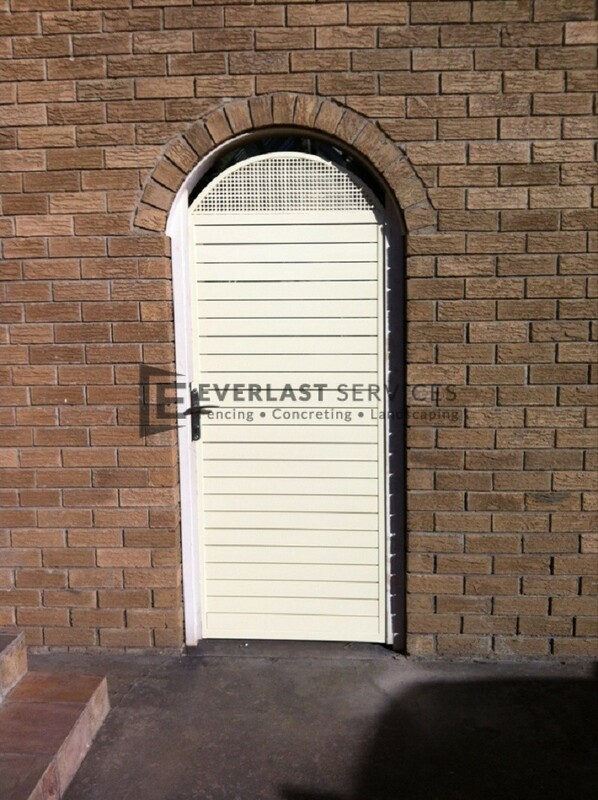 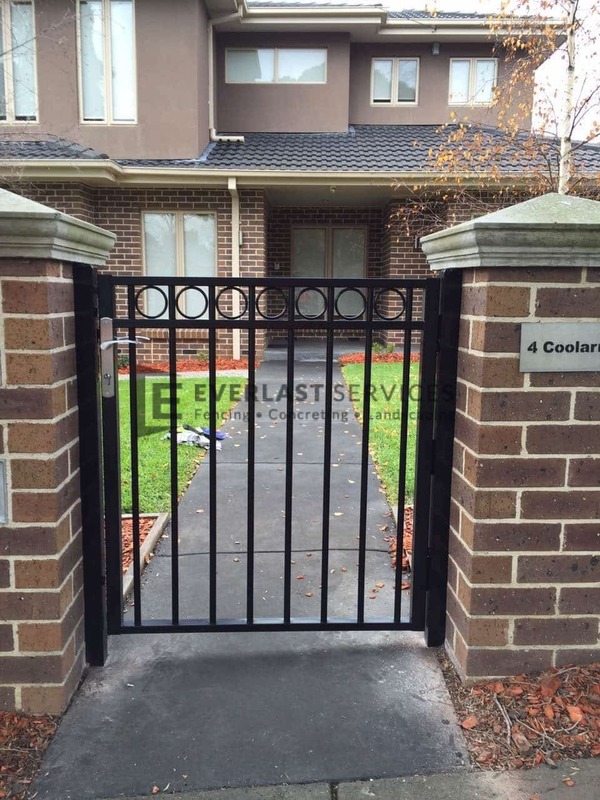 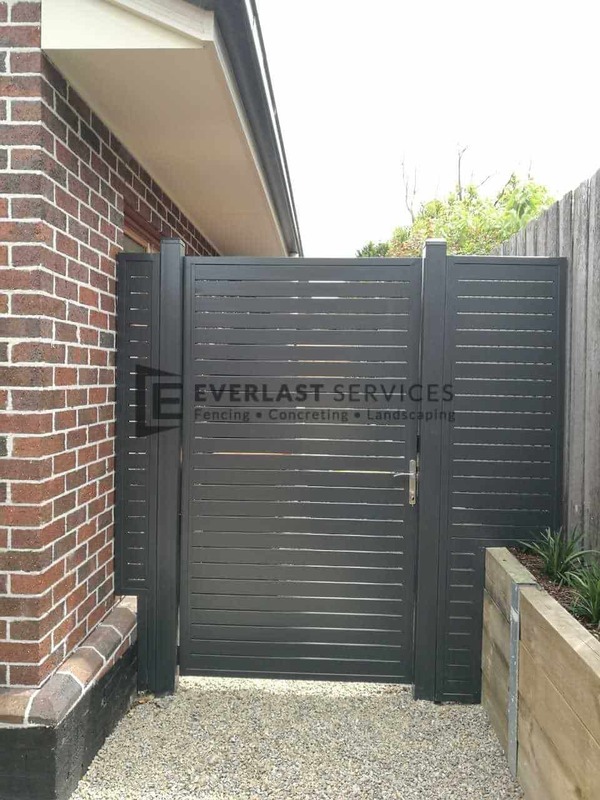 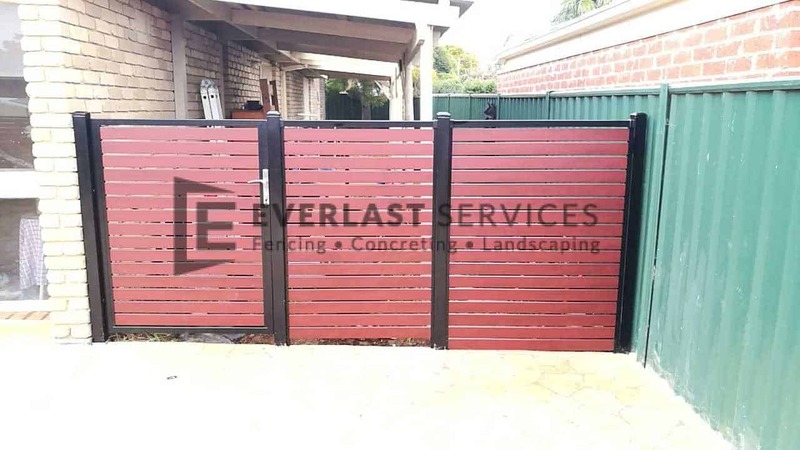 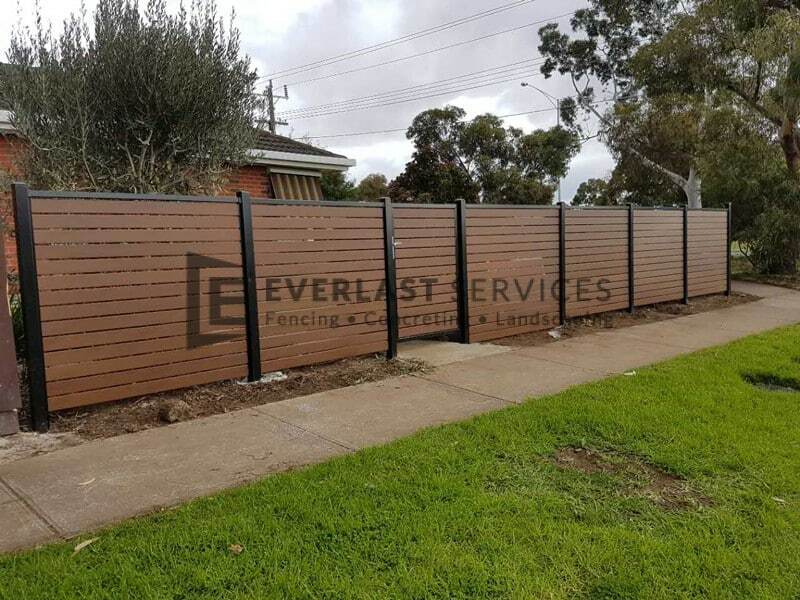 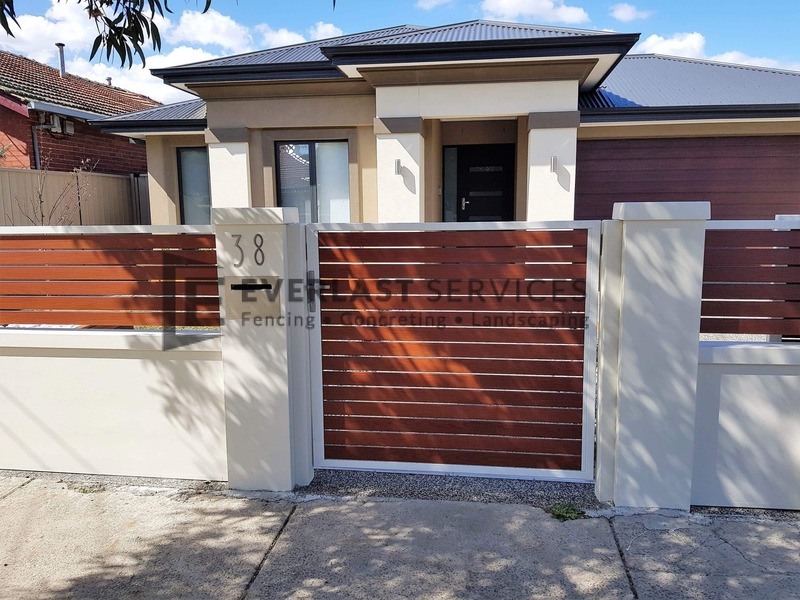 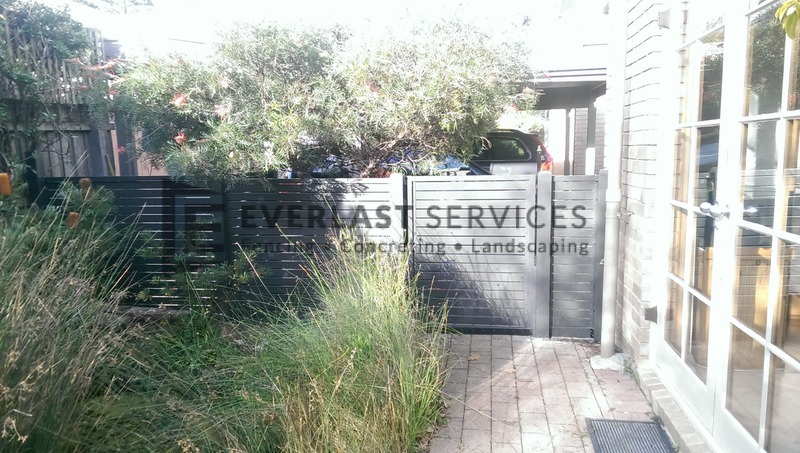 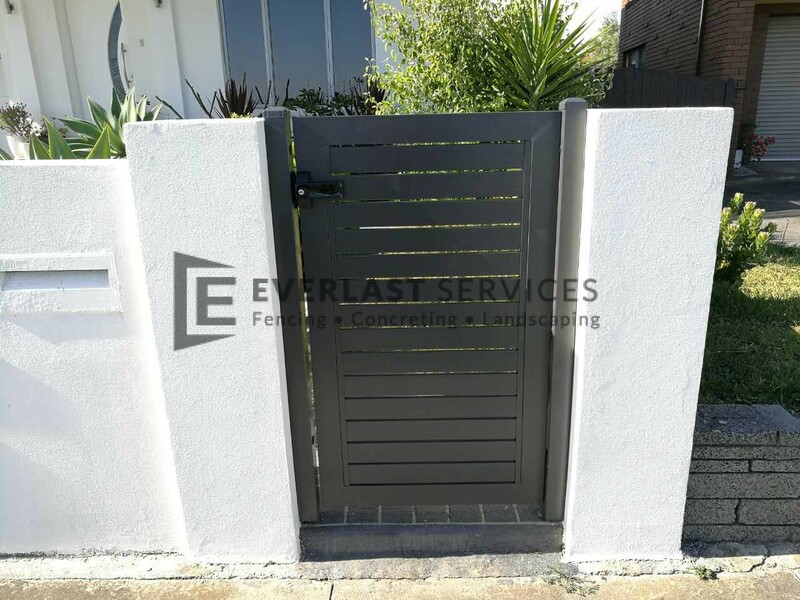 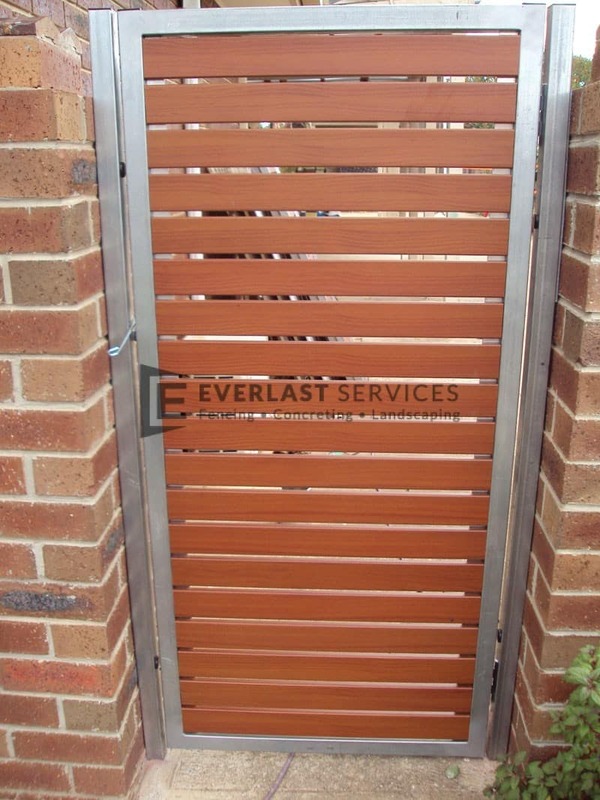 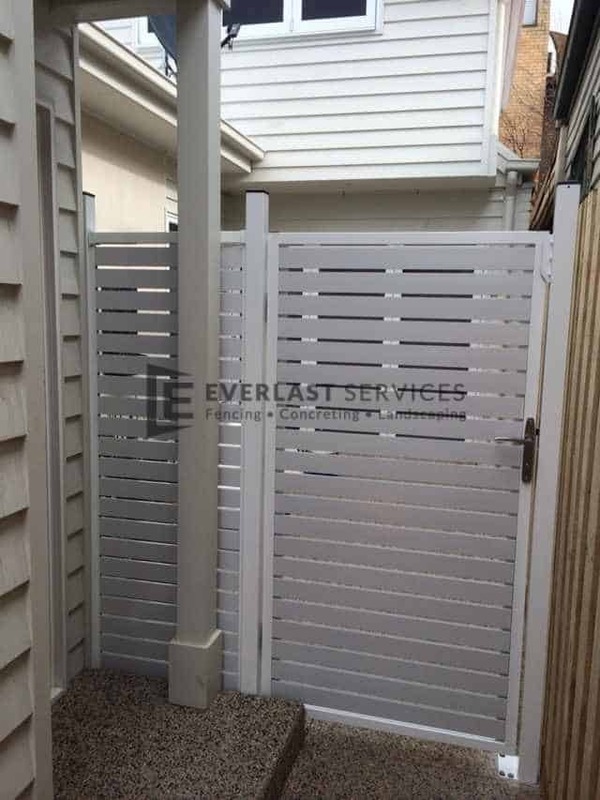 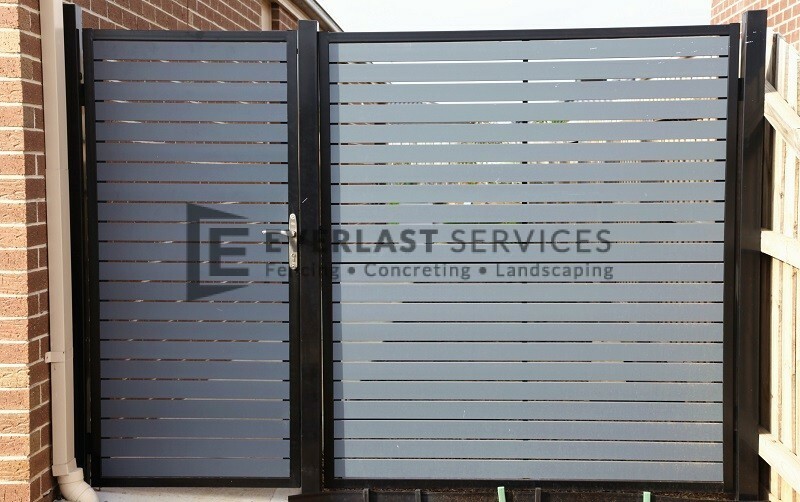 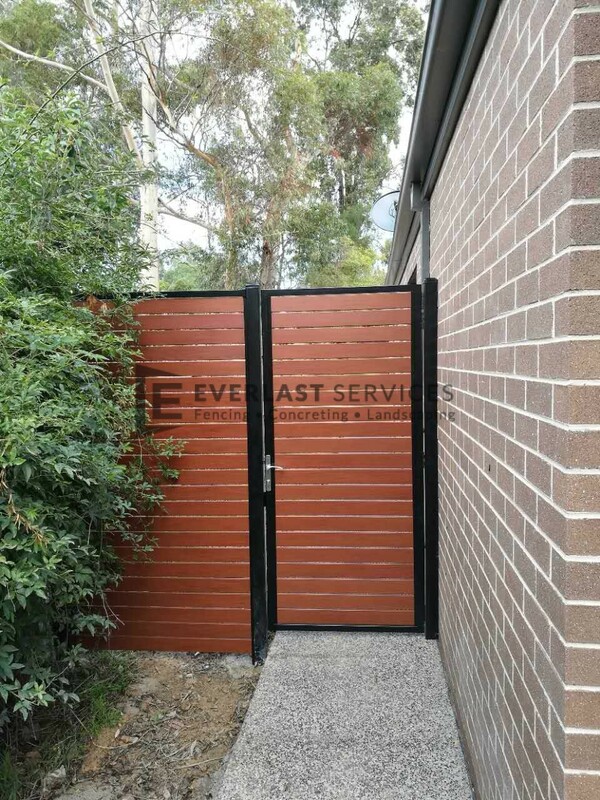 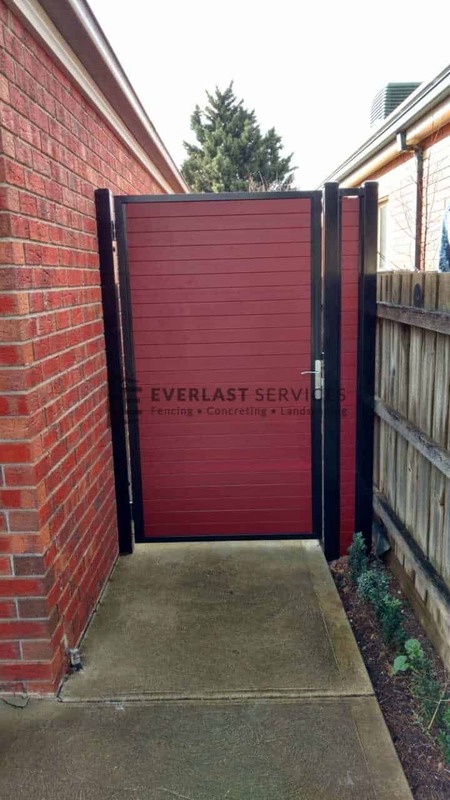 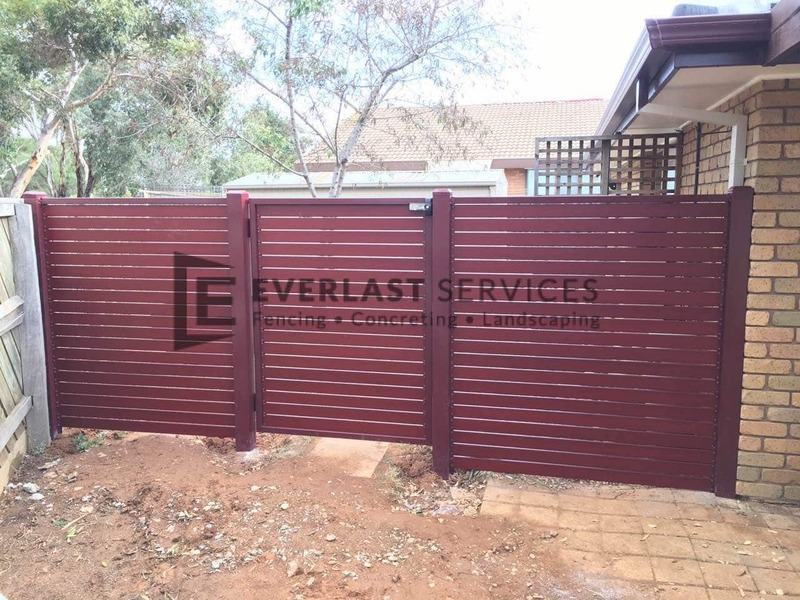 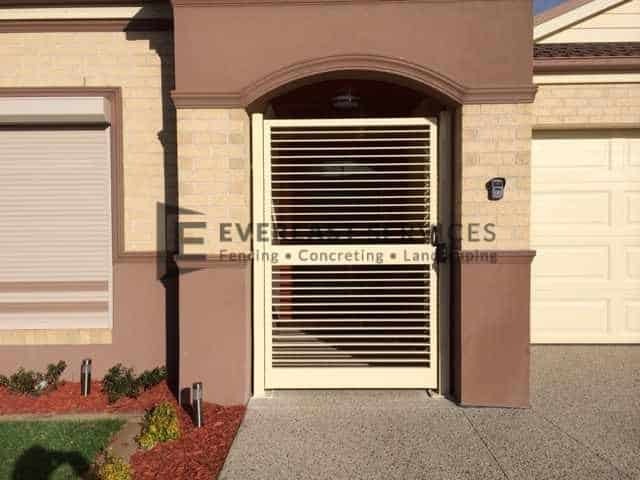 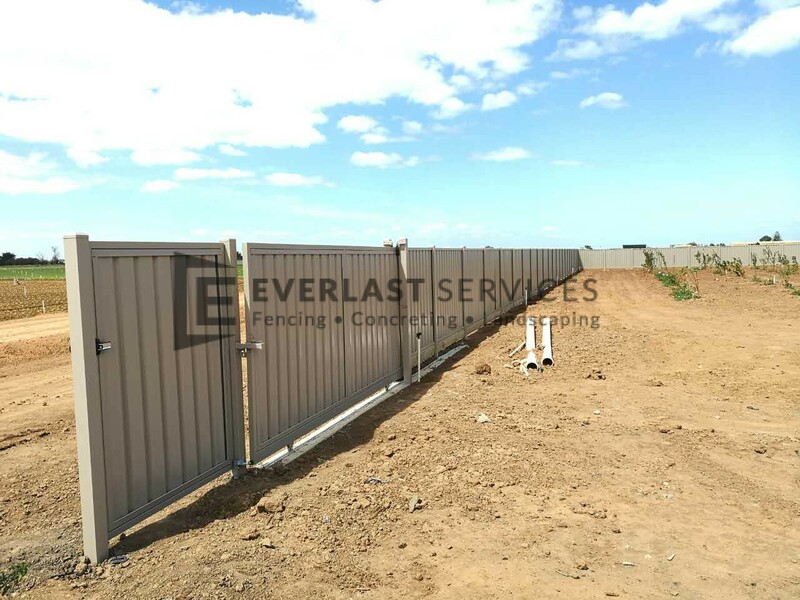 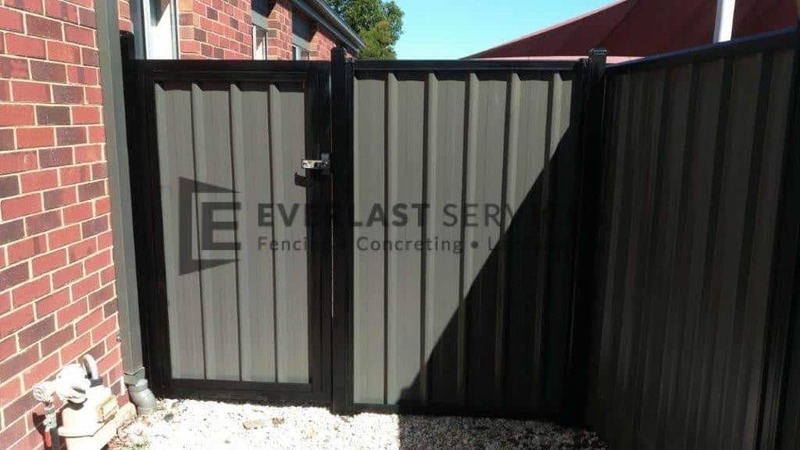 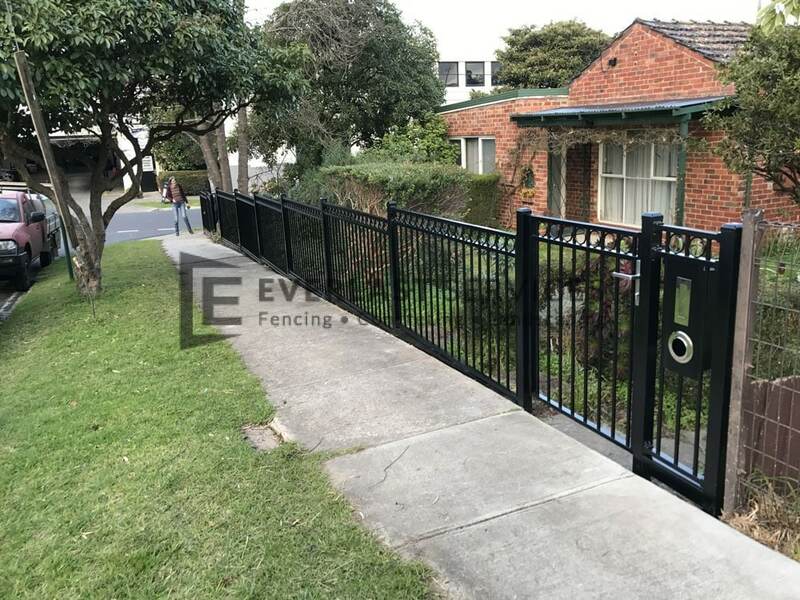 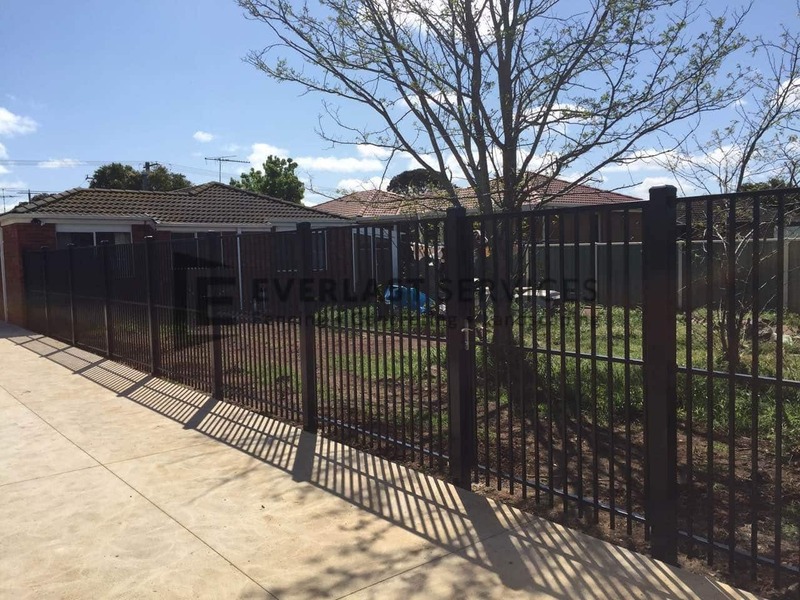 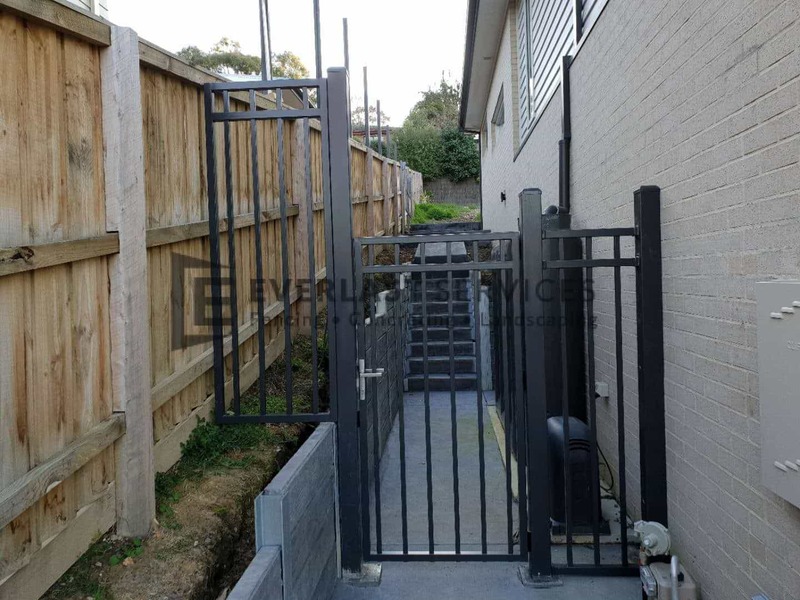 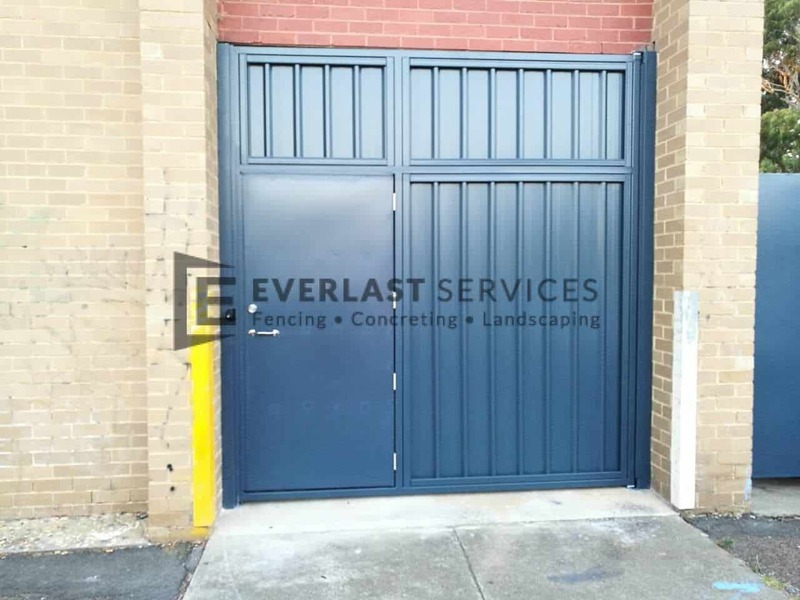 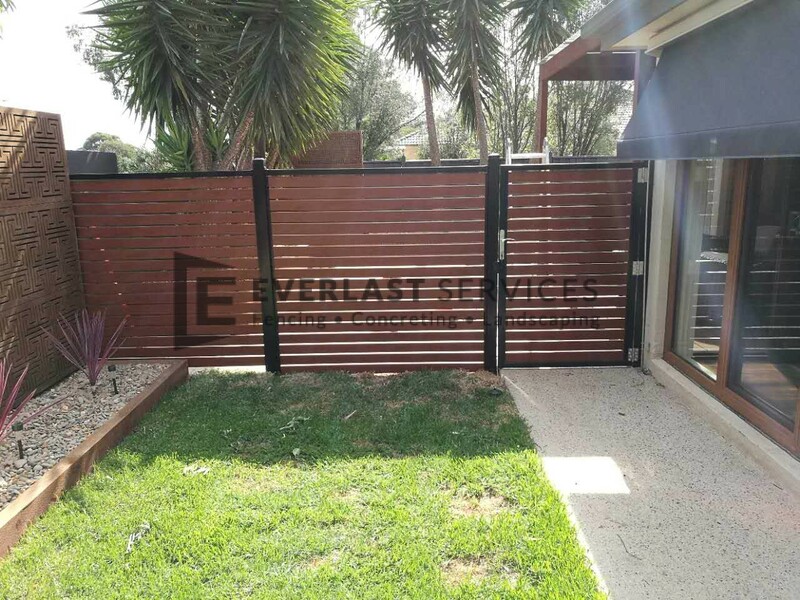 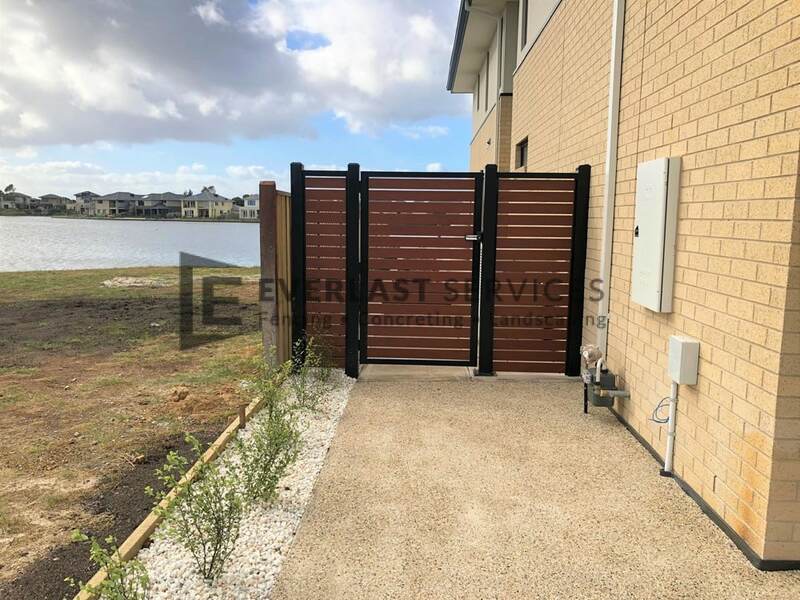 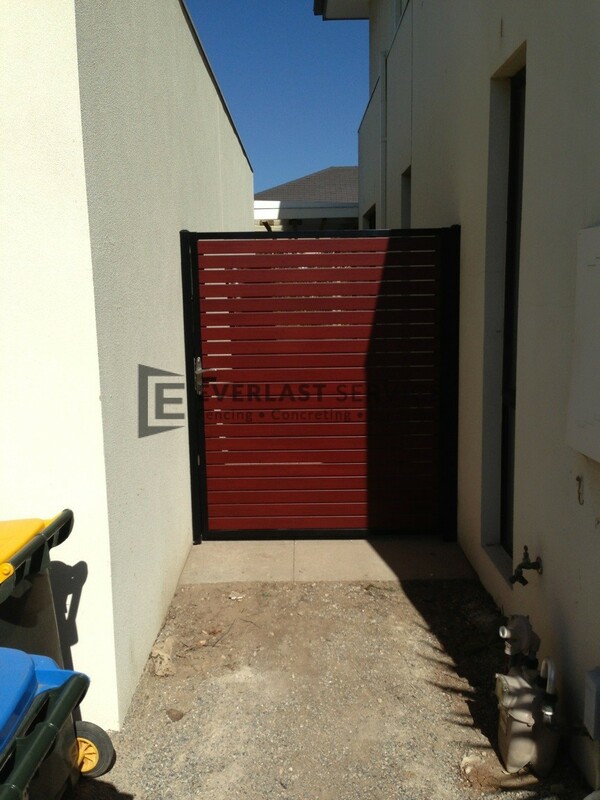 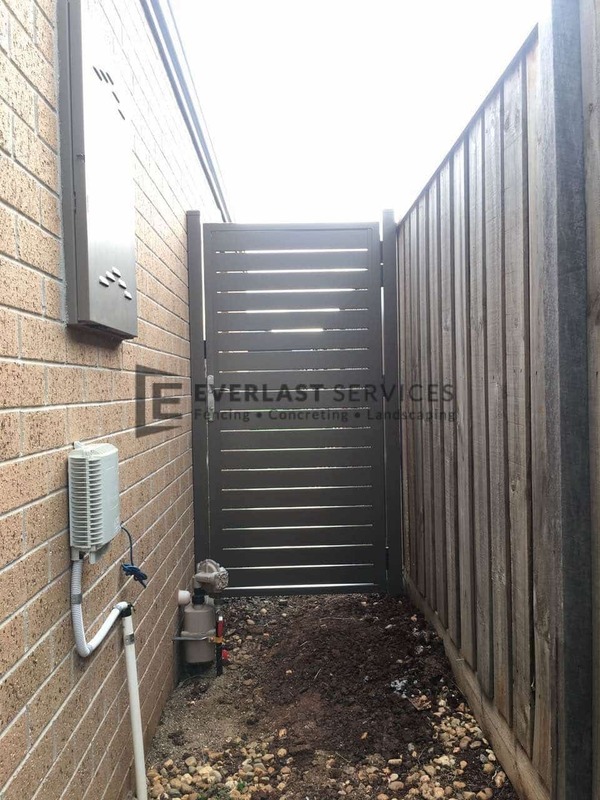 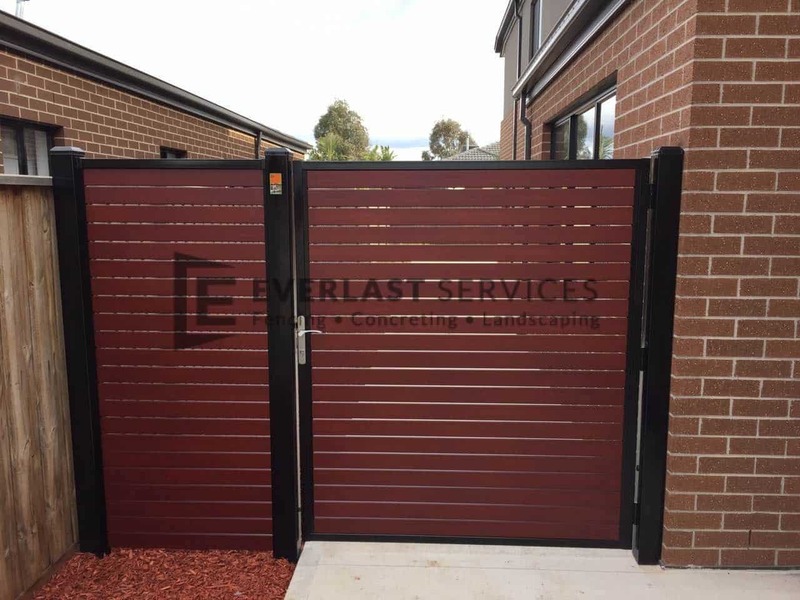 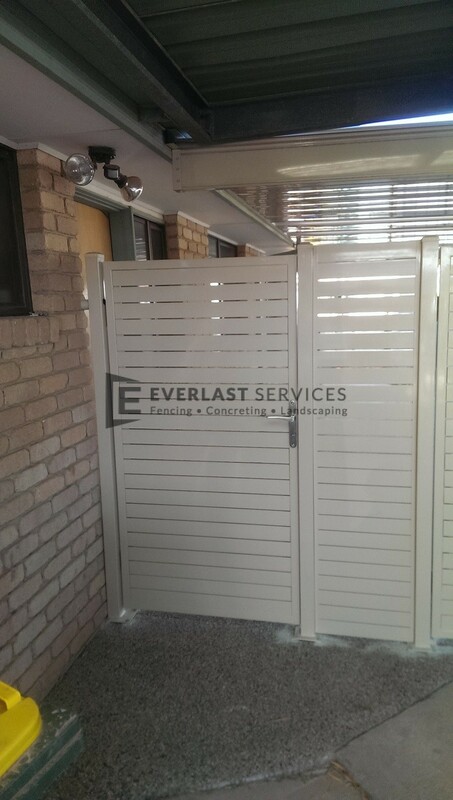 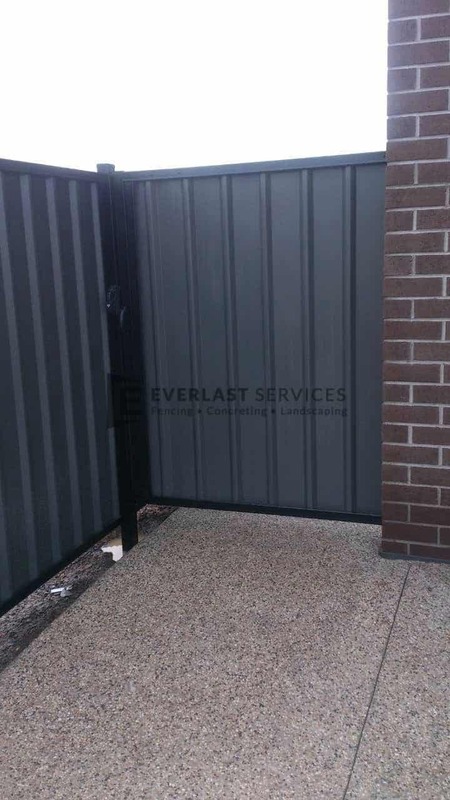 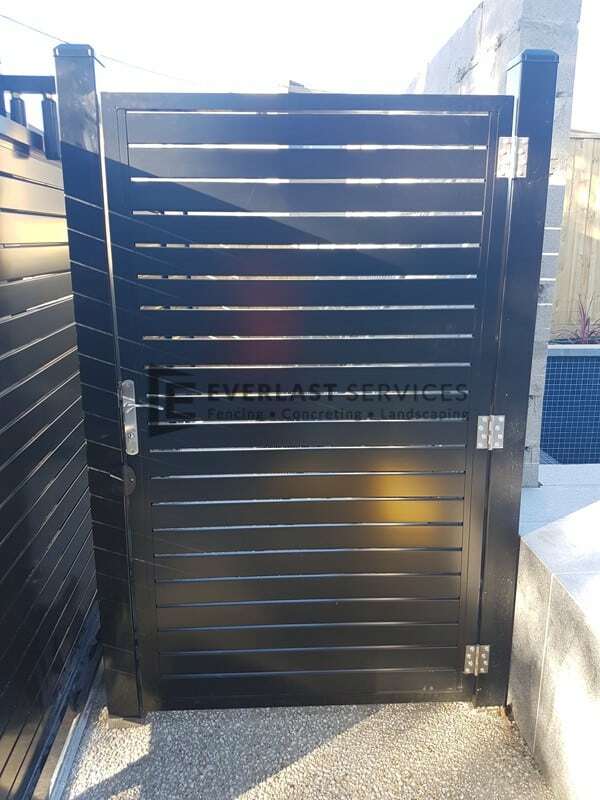 Everlast Services (formerly known as Everlast Fencing) manufactures its own gates and fences at its very own factory in Hoppers Crossing in Melbourne’s western suburbs. 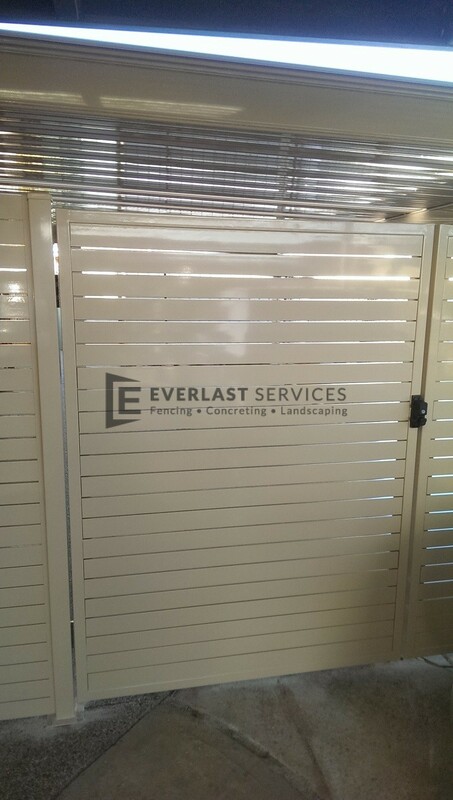 So, we stand behind the quality of our products 100%. 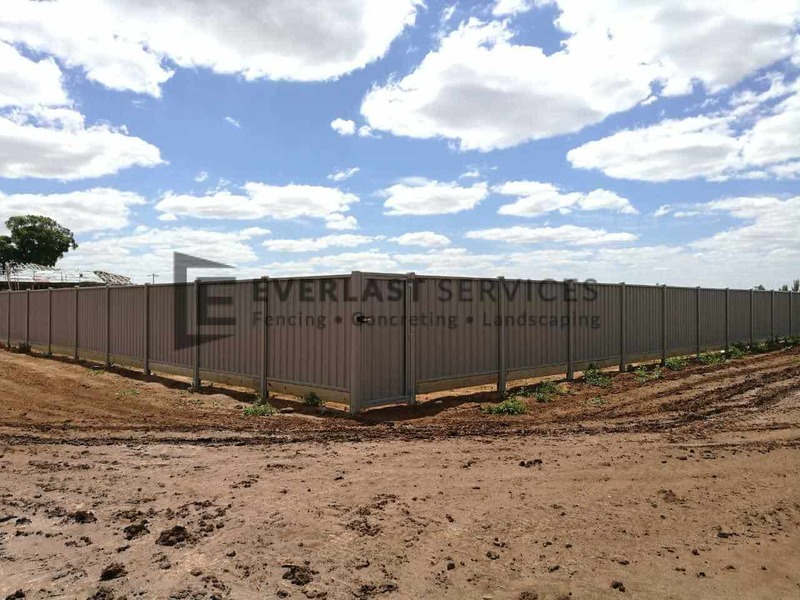 Plus, all our fencing supplies and materials are completely Australian made and owned. 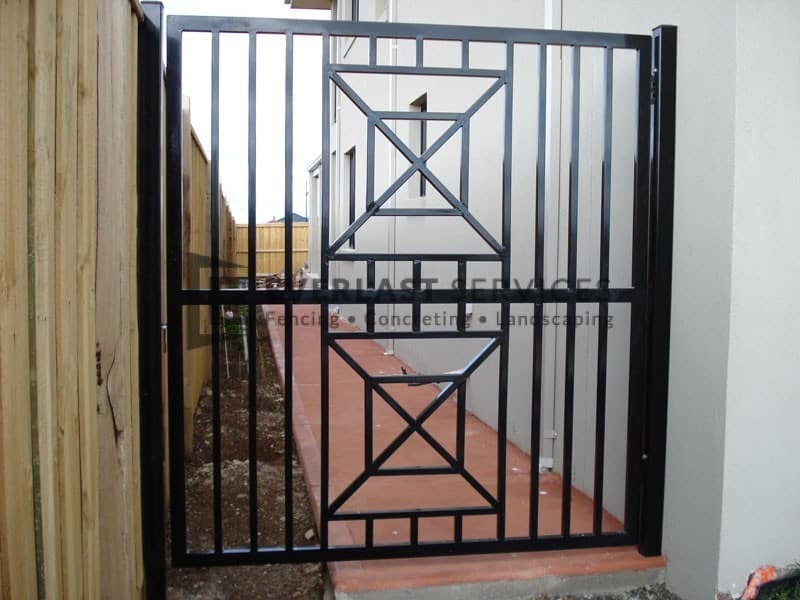 We pride ourselves on manufacturing and installing superior quality gates at an affordable price. 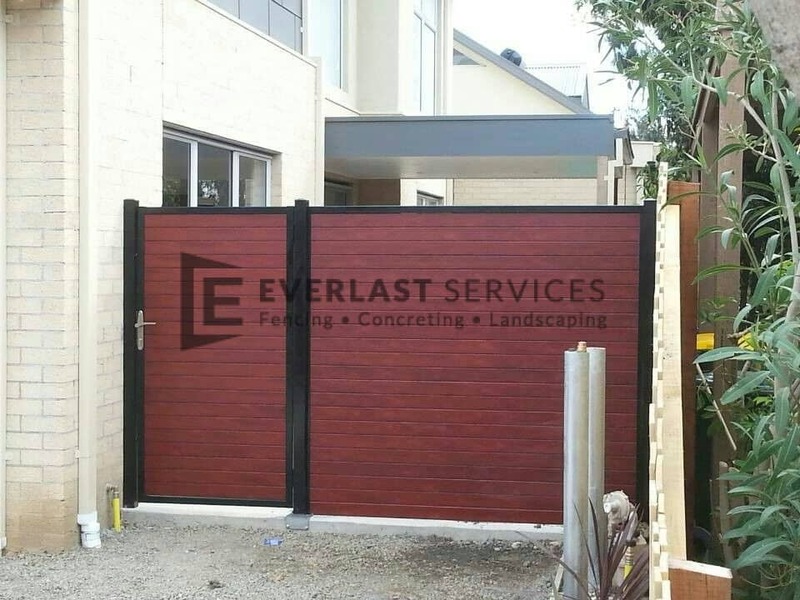 With more than 20 years experience in all types of gates and fences, we know all there is to know about the industry. So, why not let us apply our knowledge to your project for a result sure to exceed even your wildest dreams. 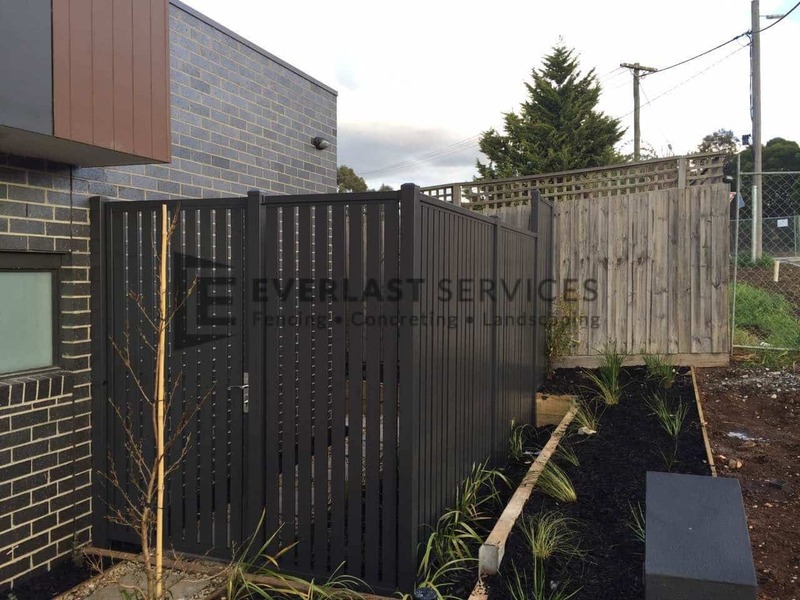 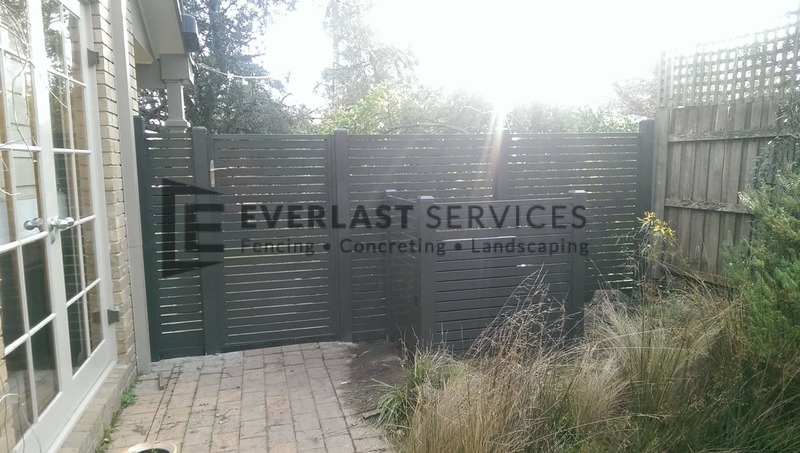 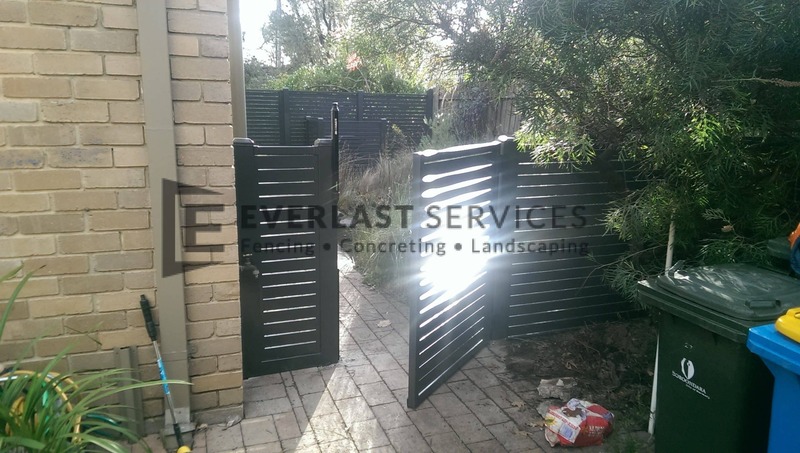 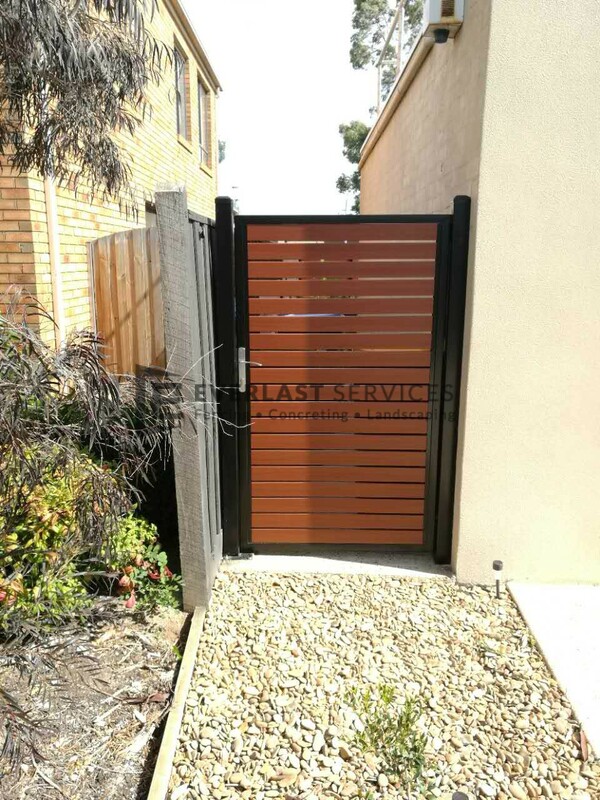 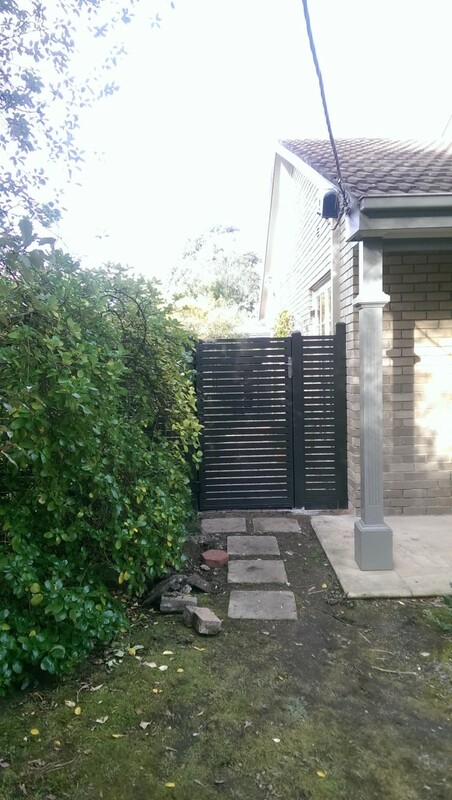 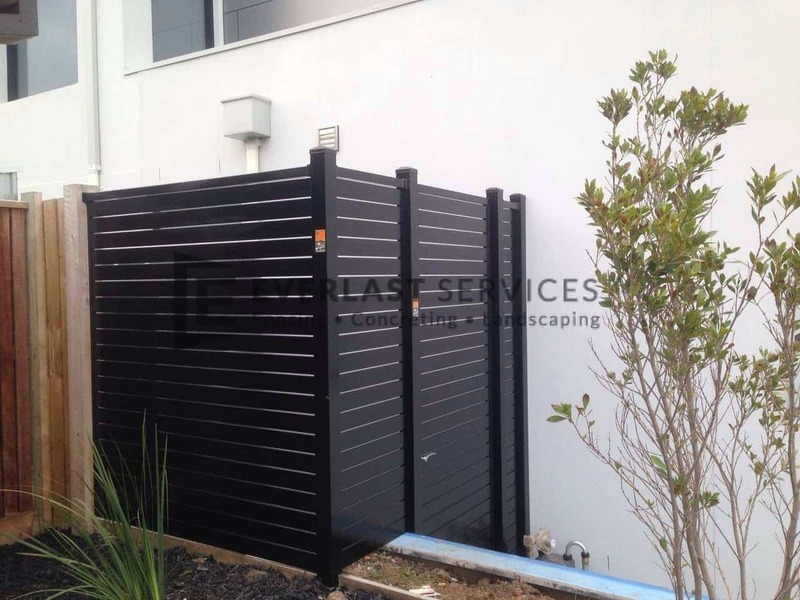 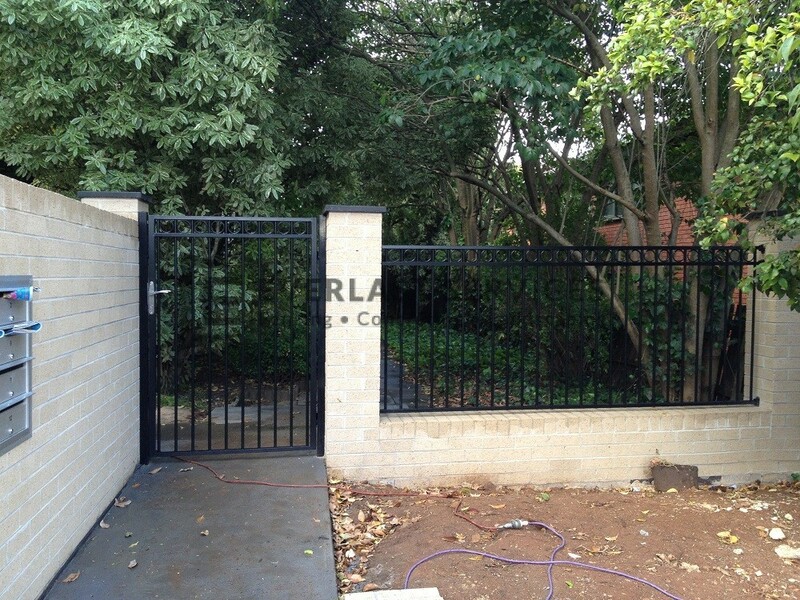 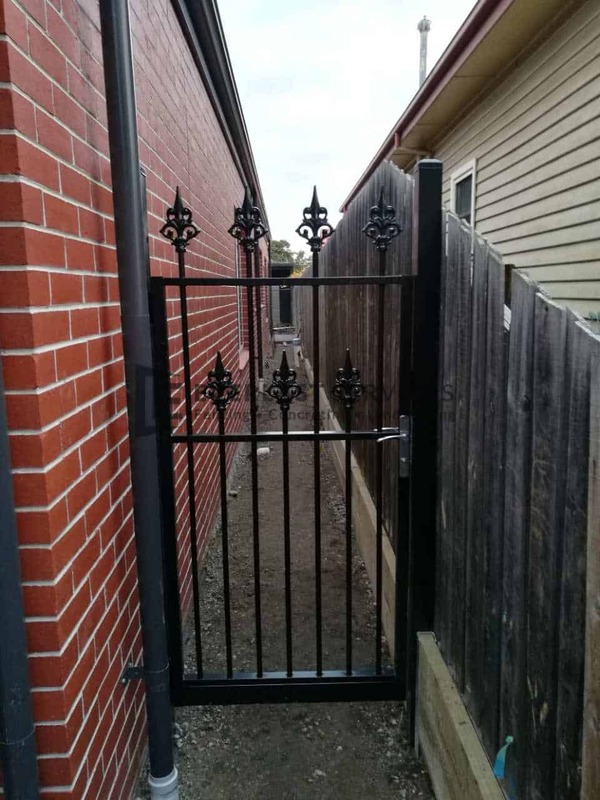 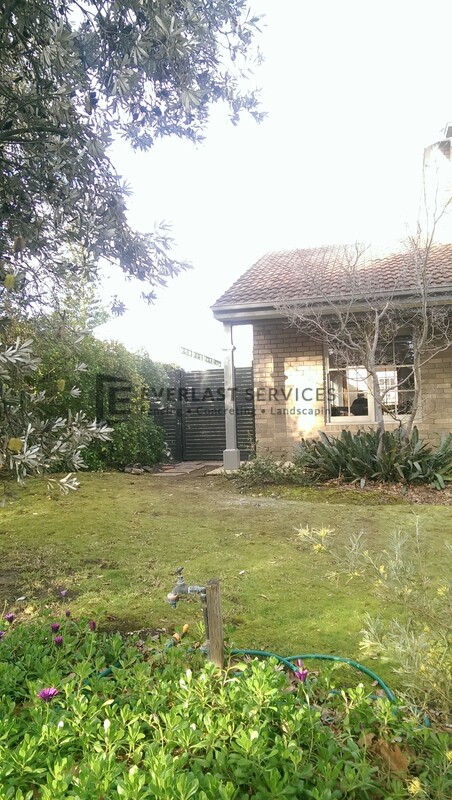 While we are specialist Melbourne fencing contractors, we are also a steel fabricator and steel wholesaler. 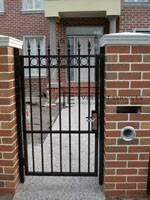 That means we can design and manufacture all the gate and fence parts you’ll ever need. 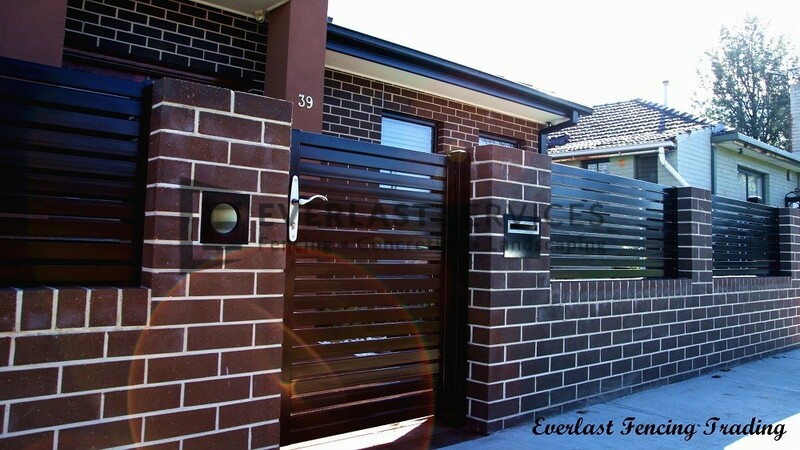 We sell wholesale, direct to the public, cutting out the expensive middleman, making our products cheaper for you.